Rab’s chances of escaping a doomed Earth with the last three children from his dying village look slim at best until he encounters Sunny, lone and hostile survivor of an escape plan that failed. Then his real troubles begin. "... creative and engrossing ... death, treachery and lies are all interwoven brilliantly into the story. " "It hit a lot of the right notes for me in terms of description, character development, world-building - and the twist at the end was great! ... 4 stars"
"My God this story is good. Subtle, sinister, and absolutely gut-wrenching and engaging. It's like falling in love with a whirlwind. ... It's beautifully and subtly constructed, deftly, devastatingly executed. The world and characters are intensely visual, the themes intense and constant, the weave of the story flawless. Absolutely remarkable reading." "… you are in for an absorbing, thoughtful and enjoyable piece of speculative fiction. Like Audrey Niffenegger's The Time Traveler's Wife, the novel works back and forwards in time complicating the relationships of characters, and posing the question of whether the past (and thus the future) can be changed." "A beautiful book. Strange and mysterious." "I was surprised by how emotional I felt by the end. I really felt for the characters. I don’t know whether it’s worth four or five stars but I’m going with five because I don’t experience that feeling often." "... an evocative, intense and dense book... This is no 45 minute jaunt in a blue box, but a book that demands that the reader work to unpack the story, the connections and implications." THE old man yawned, discarded his glasses and leaned back into the chair. The struggle to continue reading was too exhausting. Lately, nothing he read seemed to stick in his head and, within a short time, the words would even start to dance across the page in front of him, prompting the old man to fear that he might actually be losing the ability to reason. When his attention drifted towards the glasses he'd just tossed aside, he began to reconsider. Perhaps the cause of his recent distraction was as simple as failing eyesight and there was nothing wrong with his reasoning at all. Of course his granddaughter would disagree, arguing that his reasoning had never been sound, disposed as she was to disagree with anything he said or thought. It piqued him to admit that she, not he, appeared to have inherited Edward Braham's intellect. It was a pity though that, more often than not, the stubbornness she'd also inherited managed to overshadow it. If only Edward and Sunny could have met, but Edward was long gone now. Still, it would have made quite a spectacle - watching the two of them go at it. One worth buying a ticket to see. The old man scratched his head, curious why such an odd expression had come to mind. Was it a phrase he'd read somewhere, sometime? Worth buying a ticket to see. He yawned again and, yielding to the inevitable, set about his preparations for bed. He smiled as he imagined the look on his granddaughter's face if, to spare himself the trouble of the long walk down the tunnels, he ever made good on his threat to set up a cot in the corner of the library. The smile faded as he reached out to retrieve his discarded glasses, accepting that another appointment with Ruby was probably unavoidable. All those tests she insisted on conducting seemed so tedious, considering that, in the end, she'd just lean into her cabinet, fumble around for a while and then produce the pair of glasses that suited him best. While he considered time spent in the hospital wasted time, he couldn't deny that Ruby did try. And that was all anyone could ask of his people. Gently closing the book, he slid it across the table. If he returned the book to its proper location on the shelf his granddaughter would just make off with it. Recently, she'd taken to targeting his favourite books, the ones he and his father had brought into the library all those years ago. Was it back-thinking to reflect on those years? he wondered. Probably. He was frequently guilty of back-thinking, as his granddaughter was quick to point out. The chair screeched when he stretched and pushed it back, but no one was disturbed by the noise. He was the only person there. While he stuffed his head with unsettling images of long lost places, everyone else slept. Even during the day the library remained deserted. There was an old, almost forgotten rumour that for a long time after the library was built its door had remained locked. He couldn't imagine why - no one was interested in the place. Still ... there was that intriguing hole in the door in precisely the right place for a lock to have been set. But pondering old rumours, like pondering old times, was just back-thinking and there were good reasons why back-thinking was discouraged; it wasn't at all productive. As he moved to extinguish the light, the old man had another of his frequent changes of heart. Tonight he wouldn't go immediately to bed, he decided, but wander top-side to sit by the windows awhile and before fatigue saw him asleep in his chair, imagine that for the first time in living memory the stars had finally come out behind them. Back-thinking! It wasn't at all productive but there were times, every now and then, when it was quite a satisfying thing to do. Startled, Rab dropped his pack. He thought he'd said all his goodbyes and wasn't expecting anyone to come walking into his space. Swinging around, he found Blaze filling the narrow opening of his crumbling doorway. He could just make out the fire red of her hair in the dull morning light. She had come to claim his space for someone else; it was the only reasonable explanation. Rab turned back to his task, mildly incensed that the elder hadn't had the courtesy to wait until he was gone. He hadn't bothered to light his cramped quarters and was locating the last of his belongings by blindsight, that comforting and usually reliable awareness that something or someone was there close by in the darkness. Young enough to have acquired the talent, he was also old enough to appreciate its value; he'd already begun to sense Blaze walking up behind him. "Here," she said, "I want you to take this." He twisted around to discover her hand extended towards him with something big and bulky hanging from it. "It was my father's. Too big for me, but I kept it of course. It'll keep you warm." As he reached out to take Blaze's gift, Rab's fingers brushed her cold hand. "It has some tears here and there in the lining," she said, drawing her hand away with obvious reluctance. "And the outside's a bit scuffed and dirty, but otherwise it's quite serviceable." Rab held up the thick garment, checked its proportions. Quite serviceable? It was, in fact, the finest coat he'd ever laid his eyes or his hands on. Like all males in the village, Rab's hair had been left to grow until it draped snugly about his collar and his beard went untrimmed, both miserable defences against the cold when compared to the thick and warmly padded hood of the coat Blaze had handed him. It would be big for him, too, and probably reach mid-thigh. That was good, he thought, quashing a fleeting impulse to decline the gift. After all, Blaze was only doing the logical thing. Survival aids belonged to those with the greatest chance of survival and a chance of survival was something the elder and her thinning community simply didn't have any longer. He should have known; there was always a price. While he'd been busy admiring the coat, Blaze had returned to the entrance. Though barely middle-aged, she had already developed the distinctive cough and laboured gait of someone who'd breathed too much bad air. Rab watched her - a featureless shape that disappeared for a moment between the projecting rough bricks of his doorway. Since his parents had died, he hadn't bothered to patch and mend his space the way other villagers did. The next owners would be obliged to effect some repairs, especially to the doorway. Too much of the mortar had deteriorated and too many bricks had fallen away. The ruined entrance was an open invitation for the cold winds and filthy snow. Blaze returned, ushering in the village children ahead of her. In her arms, she struggled to hold something heavy. There were only three children of age in the village and it didn't take much guessing for Rab to know that the something Blaze was struggling to keep in her arms was the village's only infant. Six was too many in his tiny space - although the overcrowding made it marginally warmer. "The coat for the children," Blaze said bluntly. "We all agreed." By all, she'd meant the thirty-three adults who made up their community, with the exception of Rab, of course, who hadn't been consulted. Stepping forward, he held out the coat, hugely disappointed all the same to let it go. Blaze left it hanging there in his hand. "You must. We all agreed." "No, we didn't all agree. No one bothered to ask me." "When you chose to leave, you gave up that privilege, Rab. You know the law." "Take it back. Whether I have it or not, it won't make much difference." Even Rab found that claim hard to swallow. "You'll take the coat and you'll take the children. If you refuse, then you won't be permitted to take any food." Blaze might as well have slapped him in the face. He'd been raised in this tight community, knew everything about everyone and they knew everything about him. Would they really let him go like that - with nothing? Of course they would and, if the situation had been reversed, if he was staying behind and someone else was leaving, he'd do the same thing. "They won't last the journey," he said evenly. Blaze appeared to shrug, although in the darkness it was difficult for Rab to be certain. "They won't last here, either," she replied. Predictably she'd used his own reasoning against him. He wouldn't be leaving if he hadn't finally faced up to the inevitable - none of them were going to last here. "I don't even know how far I'm going." Blaze didn't answer, but the shapeless bundle in her arms emitted a feeble cough. Rab's focus drifted to the dark shapes clustered around Blaze. Perhaps the older boy might come in useful. Fin was almost grown, but a reedy kind of kid with the gaunt face and hollow eye sockets so typical of the latest generation. Regardless, he'd probably fare as well as Rab. The little ones were a different matter. Gift was sturdy enough; he knew that. But she'd only seen - what? Maybe six snow times? Taking the younger and smaller Stitch was simply out of the question and the notion of carrying the infant was too ridiculous to even think about. "Fin then," he agreed. "He can come. And perhaps Gift." "No," Blaze replied with authority. "Fin won't go without his brother. All or none." Rab glanced at the little boy. Stitch was thin, like Fin, but had light blue eyes that only accentuated the normal pallor of his face. "Then it's none." Rab tossed the coat on the floor at Blaze's feet. "How do you expect me to keep Stitch and the baby alive?" He pointed at the bundle in her arms. "That one can't even walk. I have very little chance of surviving. With those two, I have less. With that one," he gestured towards the bundle again, "we have none at all. Face it, Blaze - she's dead already." Even though he knew the baby's name, he'd intentionally chosen not to use it. Speaking its name would make the inadequate thing real. This morning was the first time he had spoken to Jep since it had been born and only then because he'd felt obligated to say goodbye to a childhood friend. But despite the token farewell, Rab hadn't forgiven Jep for what he'd done. Rab had warned them - repeatedly - but not even Shy had listened. Of course his terrible prediction had come true and the instant their child had entered the world, Shy's fragile and beautiful light had gone out of it. All the young women died that way now. The decision to snub his friend had been cowardly, the retaliatory act of a jealous man. Since they'd been small children, Shy had always been his. At least he'd thought so, although apparently she hadn't. Unlike Jep, Rab would never have risked her life that way. During their awkward encounter this morning, Jep hadn't said a word about the infant or his intentions for it. It had struck Rab as strange at the time and now the reason was obvious. Perhaps Jep had been too proud to ask, but more than likely he'd assumed that forewarned, Rab would have just skipped out - and Jep would have been right. "You'll take the three then," Blaze said. "Fin, Gift, and Stitch. And you can still go now, just as you planned. They're ready. Their food is already packed." Rab shook his head, though he knew the gesture was futile. Blaze would never see it his way and, even if she could, it wouldn't make any difference. Take the three, he would. There was no decision to be made. Without food, even beginning the journey wasn't worth the effort - and completing the journey was all that mattered to him anymore. Stepping forward, he stooped to retrieve the coat. "I didn't get to vote," one of the children said. The voice was barely audible but Rab recognised Fin's whine. "Nor did I," Rab replied. Only Blaze had come out to say goodbye. Rab had expected as much, but the children evidently hadn't. Fin first, then Gift, then Stitch glanced hopefully over their shoulders, each desperate to conceal their weakness from the others. Rab pretended he didn't notice. After a brief look at each child, Blaze turned to him. "Which direction will you take?" Rab hesitated for only a moment. He was leaving; he could break the old taboo with impunity now. Blaze nodded. "I thought you would." Her admission came as a shock. "And you still want me to take the children." He jerked his head towards the empty lane behind her. "Do they know?" Blaze didn't reply. She didn't have to. Rab almost smiled. "You influenced the vote, didn't you?" Though of course she never spoke of it, Rab had always harboured a suspicion Blaze might just be a believer. "It was always going to be you," she said instead. "You are the strongest," she explained with a smile that was unreadable. "Always have been. You've never broken a single bone or lain sick on your back for more than a day. You heal well. You breathe well. So you see, it was always going to be you. Whether you stayed here or left us." Her head bowed slightly as she glanced quickly again towards the children. "Perhaps someday you'll forgive me for them." "Perhaps, Blaze," Rab replied coolly, "but I wouldn't count on it." He turned and left her then. Whether she stayed a little longer, standing vigil, he didn't know. Purely by accident, he had chosen a good time and could see almost to the edge of the village today. It would make keeping track of his unmotivated brood just that much easier - for a while at least. Sooner or later, he was bound to lose one of them. The question was: would he bother to go looking for them when it happened? And it seemed he was going to be confronted with that question earlier than anticipated. Fin was already striding out ahead, despite the heavy burden of the oversized pack that contained the children's meagre provisions. Soon Rab would be obliged to call him back. Their direction was supposed to be north towards the City - or at least towards where the City was rumoured to lie. Fin was veering east. As Rab made his way towards the ragged edge of the village, the ice crunched beneath the weight of his heavy boots, but the children passed over the frosted ground in uncanny silence. He might easily have been walking alone. When he walked by Jep's space, Rab's attention strayed neither left nor right. His friend had always been a conscientious caretaker, industriously patching the crumbling mortar in his walls with clods of frozen earth and sealing each new hole in his corroding roof with reclaimed scrap that would last for a few rains and then require sealing again. Rab never could muster the enthusiasm to make similar repairs to his own space. Maybe he'd always known this time was coming. Maybe he'd always known he wouldn't stay. Vaguely he wondered if Blaze had returned the baby yet. The faint sound of mewling nearby settled his curiosity and added the heavy burden of guilt to the load he was already carrying. He'd been right when he'd told Blaze that the baby was already dead - everyone in the village was already dead. It was only getting colder. They were edging close to snow time and one more snow time would finish them for good. He knew it and so did they. But, as usual, the decision had been left to a village vote and the vote had come down overwhelmingly to stay. Rab had been at that meeting, unlike the last that had settled his fate with the children. The only vote in favour of leaving had been his. There'd been little argument and none at all once Rab had announced his decision. No one had even tried to dissuade him, not even Jep. It wasn't hard to understand. With him gone, there would be one less mouth to feed. Rab's thoughts were wrenched back to the moment when something latched onto his hand. He glanced down to find four diminutive fingers clamped around his and Gift's round black eyes staring up at him. Her other hand was locked tightly around the thick padding that sheathed Stitch's upper arm. She was virtually dragging the little boy along behind her. He had a fine party in tow: one patently defiant, one unquestioningly trusting, and the last just plain bewildered. He attempted a reassuring smile for the little girl's sake, doubting that it had amounted to much. When he glanced up and saw their shabby cemetery in the field over the girl's shoulder, Rab had a fleeting inclination to stop. After all, he would never come this way again. Had he been alone, perhaps he might have stood some moments there. Instead he walked on by, past the spot where the bones of his parents and his brother lay sealed beneath the permafrost, past the more recent plot where Shy was resting beneath her own icy blanket. Rab hadn't gone to her funeral; he wouldn't have been welcome. Besides, he couldn't have watched them lower her body into the cold ground. When his brother Bird had died, Rab's mother had sacrificed some of her precious scavenged cloth to swath his thin covering of skin. And when his parents had died, Rab had done the same for each of them in turn. Each time, Blaze had vehemently objected. The dead didn't need clothing; only the living did. But much like Fin was now, there'd been defiance in Rab then. If he'd had any say at all about Shy, he'd have done exactly the same for her. But Shy was Jep's wife, not his. And so she'd been laid naked into the frozen ground and, if the standard ritual had been performed, even her long mane of thick black hair would have been hacked away and close cropped to her head. Nothing went to waste in their village. The dead didn't need clothes and they certainly didn't need such a fine insulator as hair. Who'd be the last, he wondered, as he strode on past the cemetery. Which of his childhood companions would be deprived of a resting place? Most probably all of them, because when the end came, no one would have the strength or the will to battle the frozen ground simply to appease the dead. The dead were just dead and were owed no debts. He had no doubts the first to go would be Shy's child. Perhaps she at least would have a grave. He hoped so; that was one debt to the dead he did feel he owed. Try as he might, he just couldn't shake the memory of the pathetic little bundle in Blaze's arms. It occurred to Rab that he'd lost sight of Fin in the gloom ahead. He started to hurry, causing Gift to stumble, which brought Stitch down in a heap behind her. With a quick stoop, Rab swept the young boy into his arms. Having lost his hand, Gift grabbed the tail of Blaze's coat. Suddenly the impracticality of the situation became clear; he couldn't traipse on day after day with two packs on his back, one child in his arms, and another fastened to his clothing. Stopping mid-stride, he lowered Stitch carefully onto his feet and then called loudly into the murky air for Fin. The last time he'd seen the boy, he'd been wandering off in completely the wrong direction. The indifferent response came from directly in front of Rab. In the gloom, Fin had wound his way back unseen. Scooping up Stitch again, Rab strode off in the direction of the boy's voice, dragging Gift along in his wake, and found Fin standing in the middle of a recently decimated 'shroom field. Fleshy grey debris was scattered everywhere, but here and there some of the thick, knee-high stalks had been left undamaged, their tough, hemispherical caps still intact. "That was bright," Rab said as he deposited Stitch back onto his feet. "You've just cost the village a meal." "So?" Fin answered with a shrug. "What's it to you?" "Look kid, this wasn't my idea either. And it's just too bad you didn't get a vote. Maybe needless destruction was how you settled your scores back there ..." Rab pointed over his shoulder, " ... but it ends now. I'm in charge here. No more wandering off. And, in future, you'll do everything I tell you to do." Stripping the packs from his back, he dropped them onto the ground. "The next time I catch you destroying food, you're on your own and I'll be confiscating everything you've got in that pack on your back for the little ones. Understand?" Fin edged back a step. "You can't." "You going to stop me?" Rab snapped. He kicked at the two packs lying on the ground in front of him. "Take these two packs and, from now on, you're to look after your sister as well." Fin glanced towards the packs at Rab's feet. When he looked up again, Rab was gratified to discover that his threats had marginally unsettled the boy. "Gift isn't my sister," Fin shot back nonetheless. "She is now." Rab nudged a second invitation towards the packs with the toe of his boot. "Packs." "Why should I carry your packs as well as my own?" Fin snarled. Rab shrugged. "Fine. Have it your way. I'll take the packs and you carry Stitch." The packs weren't light, but they obviously weighed far less than Stitch. Rab waited to discover, without further prompting, which way Fin's decision would fall. Would he do the smart thing: put aside his pride and take the packs? He'd better - for all their sakes. Wordlessly, Fin stepped forward and made an aggressive lunge for the packs. He'd underestimated the weight and was thrown a little off balance. Rab made no move to help, just waited until the boy figured out for himself how best to distribute the additional packs on his back. "Right," Rab said as he came down on one knee. "Hop up, Stitch." Obediently, the young boy climbed onto his back, leaving Rab with the hard task of righting himself again. Grabbing hold of Stitch's legs, he settled the boy into a more comfortable position on his back. "Aren't you forgetting someone?" he called ahead to Fin, who was striding off awkwardly through the scattered ruin of the 'shrooms. Rab nodded at Gift. She flashed him an unexpected smile and darted away towards Fin, grabbing his hand when she reached him. "Head for the river, Fin," Rab said, testing out his own stride. "But don't get too close. Do you hear? We follow it until we reach the City." "What?" Fin pulled up abruptly and spun around, wearing an expression on his face that could have melted packed ice. "You're not supposed to talk about things like that," Gift said reproachfully. "That's a village rule, Gift. You can forget about that now and talk about anything you want." Gift glanced briefly towards Fin, then broke out into a grin. "Really?" she asked with a trace of lingering doubt. "Good. It was a dumb rule." Clearly Fin didn't think so. He was still sporting that ice-melting scowl. "You're making a big mistake," Fin snarled, then stammered over breaching the old taboo as he added, "If the people in this city you're looking for are so clever, then they'd have saved themselves a long time ago." The kid had a point, one Rab had fretted over more often than he cared to remember. Perhaps they had saved themselves already. But their rumoured plan was a complex one that would take many, many snow times to complete. Maybe there was still a chance. It was what Rab was counting on anyway. Besides, anything was better than sitting around waiting to die. "Well," Rab sang out, in lieu of tackling Fin's observation, "just because we've lost one rule doesn't mean there aren't some new ones to replace it. Rule Number One. Everyone stays within sight of everyone else at all times." Stitch wasn't listening. Rab could feel the boy swinging his head around, taking in the view, even though a little elevation couldn't have improved it much. "Rule Number Two. No one eats or drinks anything unless I say so and that includes the supplies we've brought with us. Rule Number Three. If we find water, we don't drink it." "Do you think we're stupid?" Fin called over his shoulder as he set off once again. "The little ones, no. It's you I'm not so sure about." He'd really imposed that rule for the sake of Gift and Stitch, but Fin had invited the jibe. Doubtless he'd already passed through the curiosity phase and come out the other side. The stench of the water alone would keep Rab at bay, but the last generation had been born without a sense of smell, or at least a lessened sensitivity. No scent, no matter how repugnant, ever seemed to deter them. "Rule Number Four. We follow the river only. We never get too close." "Rule Number Five," Fin interjected. "Rules One through Four are crap." "Good for 'shrooms. Crap," Rab said evenly. "But that's all the Rules I have for now." Stitch was beginning to slip low onto his hips. He juggled the dead weight, settling the young boy higher up on his waist. "If I think of more, I'll let you know." Fin muttered some unintelligible reply that Rab didn't bother to pursue. He tucked Stitch's knees closer into his sides, a guilty device to siphon off a little extra heat; the temperature had started plummeting. Ahead, Fin was beginning to slide on the building ice and Rab was obliged to concentrate on his own footing as well. It wouldn't do to come down with the kid still clamped onto his back. The fall in temperature was a bad sign. The feeble midday light was failing. They had barely come any distance at all and the point of no return still lay ahead of them. They would pass on through it; at least, that was Rab's intention. He gave no thought at all to turning back. He didn't know the thoughts that were lurking in Fin's head though, but if he had a mind to run off, dragging the other kids along with him, the bitter cold would certainly end their prospects of making it back to the village alive. As far as Rab was aware, no one in their village had ever come this far out. Perhaps at some time in their not too distant past, someone had passed this way, but none of the villagers possessed the stamina or the incentive to venture so far afield now. And if they had, it would have amounted to nothing but a fruitless and difficult journey. This was a barren place that offered no food, little shelter and a slow death to the inadequately prepared. Silently, Rab thanked Blaze again for the heavily padded coat. He worried about the children though, but perhaps shouldn't. Obviously Blaze had taken great pains to ensure that the children were protected from the bitter cold, leading Rab to suspect that some degree of sacrifice had been made by the rest of the villagers. He'd admit to previously paying little attention to the children, but even so, little ones running about so warmly dressed wouldn't have escaped his notice. It seemed that many of his fellow villagers would pass the coming nights in misery. The realisation weighed heavily on his mind. They pinned too much hope on him, laid too much responsibility on his shoulders. He feared for the time when it would become too heavy a burden. Fin stopped and turned at Rab's call. "It's too cold to go on any further today. We'll rest for the night here. Start out again early tomorrow morning." "Here?" Fin called back to him. "In the middle of nothing? There's nowhere to shelter." The boy had a talent for stating the obvious. Rab waved him in. "I can see that," Rab said the moment Fin stomped up and flung his packs to the ground. "But I doubt there's anything much better immediately ahead. We'll have to make the best of it tonight and hope that we'll find shelter tomorrow." As Gift sauntered up to join them, Fin flicked a tentative glance at Stitch, who was leaning over Rab's shoulder, attentive to the conversation. "You're going to kill us. You know that, don't you?" Kicking the packs aside, Fin reached out for his brother. "Give me Stitch. If we're going to die here, at least I'm going to die with family, not you." Rab passed the boy to his brother. It was relief to get the weight off his back. He looked down to find Gift staring up at him. Her little shoulders lifted slightly. "What should I do?" Rab smiled to himself and reached out to tousle Gift's dark and matted hair. "Sit down. Open those packs. And find us some food." "I can do that," she said with enthusiasm. Dropping to her knees, she set about opening the packs. It was something to remember in future; Gift didn't like to stand idle. He eased himself to the ground and watched her work. It took his mind off the cold. Fin had wandered off with Stitch, but came back once Gift produced their food. The boy was infuriatingly stubborn, but not stubborn to the point of letting his brother starve. Dried 'shrooms were the only food they carried, given the impracticality of trying to bring a colony of grubs, the village's sole meat source which had been bred to survive on the fleshy fungus. Having developed a taste for the stuff, the colony had once broken out and gorged themselves on the 'shrooms in the storeroom. Everyone in the village had feasted that day and the children had made quite a game of finding the fat, little raiders. Blaze, of course, had been appalled at the wanton behaviour. Since it was becoming necessary to wander farther and farther afield to harvest 'shrooms, the loss exacted on their stock, she'd maintained, was a tragedy and the offending grubs should have been relocated back to the colony, not greedily consumed on the spot. At the time, Rab had wondered if he'd been the only one to notice when Blaze had appropriated a few of the treats for herself. It made him smile again now to think back on it. "Here," Gift said, handing over his evening meal. Behind him, Fin and Stitch talked softly, but when Gift passed them their share, the boys wandered off once again. She shook her head. "They'll freeze out there all by themselves," she said to Rab, then reached out to touch each of the packs in turn. "I'm going to make a nest out of these. It'll be nice and warm inside." She glanced around, suddenly looking concerned. "But what about you, Rab? You're too big. There's nothing here to protect you." Rab patted the sleeve of Blaze's coat. "I've got this and I bet I'm going to be warmer in this than I've ever been in my own bed back in the village." It was a lie, but Blaze's coat should be just adequate enough. Without it, he wouldn't have felt so certain. Gift scratched at her head. "Do you think I could make them come in?" she asked, getting to her feet. The girl was smart; she knew better than to suggest Rab do the pleading. She failed, of course, and wandered back to him, looking disappointed. "All you can do is try," Rab said, excusing them both in the same breath. He saw her comfortably settled, then folded himself up into a tight ball, appropriating the outer side of Gift's nested packs for protection. The boys didn't freeze in the night, but both looked grim the next morning when they stumbled over for a little food. Stitch appeared to have fared the worst, forcing Rab to a silent decision. Whether Fin approved or not, Stitch would pass the next night under his supervision. They set out early and wordlessly. Even Gift remained uncommonly quiet, perhaps perceiving what Rab, too, had noticed gradually building on the close horizon. The weather was turning increasingly against them. And after almost two days carrying all of the packs alone, Fin was starting to show the signs of strain, compelling Rab to stop them ahead of schedule again. Though they really should press on, the light was slipping away too fast, dragging the temperature with it. Rab looked around, desperate to secure them protection. What he found didn't amount to much as far as shelters went, but it was the best he could manage before the wan light failed them completely. The overhanging ledge offered them a little cover and, if they huddled close together, their combined body warmth should see them through the night. In the time it took Rab to deposit a dozy Stitch to the ground and stand up again, Fin had offloaded the packs, deserted Gift, and disappeared. Retrieving one of his packs from the heap Fin had left, Rab began to ration out portions of dried 'shrooms. As he shared a meal with the little ones, Rab listened with growing irritation to the sounds the boy continued to make in the darkness. He couldn't make good on his threat to withhold food and doubtless Fin knew it. The kid had to stay fit. It wasn't possible to manage the three packs and the two little ones on his own, so he'd placed Fin's share of the food to one side. It was there when Fin came back, carting the rotten remains of an old tree trunk. Seeing what the boy had in tow, Rab abandoned his quickly rehearsed censure. A little bit of light and a little bit of warmth were what the night was begging for and if the boy had the wits and the savvy to answer the call, who was he to complain? He'd warm his hands by Fin's fire as eagerly as he would his own. Three more times, Fin wandered off into the darkness to return with another scavenged length of tree trunk. When alive, the tree must have been enormous for so much of it to have survived. Enormous or not, as far as Rab was concerned, it was still a miraculous find. Gift was a practiced hand at fire starting. Rab watched as she expertly stripped away the useless pieces of bark, discarded them behind her then began digging again into the rotting relic to repeat the whole procedure. When the bark proved too tough for her to strip by hand, she took to jumping on it, enthusiastically smashing the pulp into tinder. Rab didn't attempt to stop her. She seemed to know what she was doing and probably wouldn't hurt herself. Besides, the exertion would go some way to warm up her blood. When enough of the bark was stripped, she bent to the task of coaxing the flames along with gauged and gentle breaths. She knew enough to keep her long hair well out of harm's reach and, when Fin briefly turned his back, even leaned in to readjust the tinder he'd been laying as she'd stripped it. The lids of her black eyes lifted and she caught Rab watching her. Discreetly, she raised a finger, placed it against her lips a moment and then smiled at him over the burgeoning flames. Rab smiled back out of reflex. He hadn't had much to do with the kids in the village. He knew them of course; it was impossible not to, but long ago, he'd made the conscious decision to keep them at a distance. Satisfied, Gift struggled up from the cold ground and, skirting the fire, made for the stash of 'shrooms Rab had set aside. She glanced at him, apparently seeking his permission and, when he gave it, strode over to Fin and wordlessly passed him the meal. It saddened Rab to watch her making her way back to him. Neither she nor Stitch should have been sent on this journey; it could only drag out their deaths. She sidled up close to Rab. "Fin thinks you're crazy," she whispered, stretching her little body up to press her mouth to his ear. "He thinks you don't know what you're doing." Rab dipped his head to whisper back. "And what do you and Stitch think?" Gift shrugged. "Stitch is too little to think," she answered. "But I think Fin's wrong." She waved her hand, surprising Rab with the precision of her bearings when she began to speak of their village. "They're all going to die back there," she said. "And I don't want to die." She nodded towards the crouched figure of Fin, eating slowly and sullenly, on the other side of the fire. "Nor does he, but he just won't admit it." The little one's acuity astonished him. But he wondered if Gift had given any thought to her parents when she'd said that everyone in the village was going to die. It could be that her age had her see them immune somehow. Rab didn't push it. When she dropped her head and fell silent, Rab understood it to mean that her analysis of their circumstances and her travelling companions was done. "But I am a little worried," she took up again, surprising him. "I'm not sure you can save all three of us." Lifting her head, she looked directly into his face, the black irises of her eyes reflecting their fire. "If you have to make a choice -"
Rab cut her off. "Don't be silly." He was about to offer her some inane platitude, but then thought better of it. "I don't think it will ever come to a choice," he said instead. "But I won't lie to you. It's not going to be easy." He nodded his head, indicating Stitch, who was lying curled up in a tight ball at his feet and sleeping noisily. "Especially for him." "Yes, I know. And that's why, if you do have to make a choice who to save, well, you understand, it has to be him." She'd surprised him again. He'd just assumed she was angling for his favour. "Why Stitch?" he asked, intrigued. "I'm afraid I don't understand." "Easy," she replied with a smile. "Fin? He's already given up. And me - well, I'll always remember this journey and what we left back there." Again, she waved her hand with unerring accuracy towards their village. "But Stitch - he's only little. He can start all over again without any memories at all - none that'll mean anything to him anyway." Rab nodded. 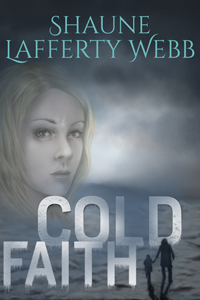 He raised a hand to stroke Gift's freezing hair as she snuggled into the comfort of his side. "I promise to remember what you said." IN THE bleak morning, Rab slipped out from under the two little bodies. He needed to get his bearings and warm up. Fin had passed the night on the other side of the slowly dying fire, as far away from the trio as possible. There was a touch of defiance in the kid but logic would win out in the end. Fin would either have to join the huddle of their little community at night or die alone in the cold. After walking a short distance, Rab was shocked to discover that their camp was surrounded by the rotten trunks of a long fallen forest. Fin's nocturnal stumble on the cache of firewood had been no miracle, just an incredible stroke of good fortune. Every now and then as he staggered through the debris, Rab's foot caved through one of the rotten logs. Although he could have woven a path around the ruined logs, like Gift, he took a strange pleasure in smashing the things to bits. Hoping to supplement their store of food with something more appetising than dried 'shrooms, he kept alert for grubs, but found none. The forest had rotted out long ago. Half way up a steep rise, he glanced back and was just able to make out the dying glow of their campfire and the two dark bundles on either side of it. The kids were still there and still asleep, but he had to be back before Fin woke up. The boy had done nothing yet to gain his confidence and simply couldn't be trusted rationing out the 'shrooms. Rab slipped, slid, and scrambled his way up the last of the rise. By the time he reached the top, his breath was thickly frosting and he couldn't feel his feet any longer. The river couldn't be seen from his village, so he wasn't surprised to discover that, even from this elevated position, it still wasn't visible. He could see the permanent mist that shrouded the river though, clearer than he'd ever seen it before. In the lowlands, where his village was situated, the mist was a colourless, ephemeral thing that drifted in sometimes to envelope them, making breathing even more difficult than usual and seeing more than a few paces almost impossible. But from above, Rab could make out a blurred sort of edge to the mist and the swirling eddies of dirty brown vapour inside it. His attention shifted to the sky. The ceiling was holding a little higher than usual this morning. He shrugged. It had done that yesterday too, but the improved visibility hadn't lasted. Even so, Rab was grateful for the small reprieve that allowed him to pinpoint the river and fix their location. They were still heading in the right direction. It was a pity that they couldn't track the river by simply walking its bank, but the foul-smelling mist made that impractical. Besides, even if they could have breathed the air without choking, one or other of them would inevitably become stuck in the putrid ooze underfoot. Bad enough to freeze to death in your sleep, which wasn't an unlikely scenario for them all anyway, but it was preferable to a choking-while-freezing end. With a quick glimpse over his shoulder, Rab confirmed that the kids were still asleep, and he still had a few more moments. He'd found the river again, established that their direction was sound, and discovered a wealth of tinder in the process. But even if he could have got word of the cache back to his village, it was too distant now for them to exploit; and there simply weren't enough people in the village with the stamina to haul it back there. It was also too bulky and too heavy for him and his little band to carry. The realisation that they'd have to leave it behind was just another in a mounting inventory of frustrations. The likelihood of happening on another reserve was remote, because he suspected that only some peculiar quirk of nature must have preserved this one. Rab dropped to his haunches to consider his next move. If they kept heading north, making the same progress they'd made yesterday, there was just a slight chance they'd reach a safe haven before freezing to death in their sleep. They had to move faster. Which meant what? That they redistribute the packs and both he and Fin carry one of the children? Impossible! That left only one other option - they'd simply have to travel longer each day. Movement at the camp site below caught his eye; the single bundle that had been the bodies of Stitch and Gift was dividing. Rab sighed and, rising slowly, began readying himself to resume the responsibility he'd never asked for and would probably never satisfactorily discharge. Maybe Gift, with her naive insight, had it right after all. Maybe the time would come when he'd be forced to choose among them. Fin was rising when he reached the camp site. Gift was already stoking the fire, an enterprise that made Rab smile. As young as she was, Gift already had the habits of village life ingrained. "Don't bother with that." He kicked at the icy ground with his boot, dusting Gift's stirring embers, then went to rouse Stitch. "There isn't time." As he lifted the sleeping child, he signalled the little girl with a jerk of his head towards the packs. "Just grab some of the dried 'shrooms from that pack there. Keep some out for Stitch and then reseal the pack - tightly." Fin was standing motionless by the lonely spot where he'd passed the night. "That's it?" he said. "Get up and get moving?" "Sounded like it," Rab replied. The embers hadn't quite gone out, so Rab scooted another bootful of frozen ground towards the fire. If someone should pass this way again, they could make use of the surrounding tinder and a spark from an abandoned fire could easily finish it off. Rab glanced up to find Fin still staring at him, arms akimbo. "We're moving too slowly," he said, "and snow time is coming. Even if we can't make it to the City by then, we at least need to have found some shelter." Slowly Fin's arms slipped from his hips. A moment later, he charged off towards Gift and wrenched the pack from her hands. "Snow time! Dry time! Can't see that it makes much difference." Stitch still hadn't woken, so Rab settled him against his chest, cupping the boys head against his shoulder. He looked at Gift. She was chewing methodically on something. "Have you got those 'shrooms for Stitch?" She flipped open the front of her heavy coat to show him. "And some for Fin and you, too," she said. Rab shook his head. "Not hungry. Save them." "You'd better save mine as well," Fin said as, juggling the packs into place, he strode off to the fire. "Apparently we're in too big a hurry at the moment." With a wild swing of his foot, he sent a huge cloud of earth into the coals. "Can't even put out a fire." But Fin hadn't taken full account of the weight he was carrying and the exaggerated swing sent him off balance, forcing him to execute an ungainly little jig to right himself. When Rab heard a giggle behind him, he looked back and found Gift struggling to stifle another. When she'd left their camp site, Gift had grabbed a long thin strip of wood to use as a walking stick. Rab wished he'd thought to do the same. Stitch had woken up some time ago. To keep his muscles primed and his blood flowing, Rab had allowed him to walk for a while, a decision he'd quickly regretted. The boy had taken to running forward to Fin and Gift and then back again to Rab, repeating the performance until Rab's patience was about to snap. Happily Gift knew just when and how to calm him. She had timed the appearance of the dried 'shrooms perfectly and on Stitch's last monotonous circuit, flashed open her coat. As soon as he saw the food, Stitch made a grab for the stash and wandered back to Rab with his prize. A tug on Rab's coat signalled he was ready to ride again. He settled in peacefully and for a long time occupied himself by slowly gnawing on the delayed breakfast. Around midday, Rab called for Fin to pull up. Neither he nor Fin had eaten and there was still a long day ahead of them. He intended to walk them as long into the night as possible. Visibility wasn't their enemy. They'd been born into a twilight world and none of them had ever seen the sun or, for that matter, the moon or stars either. Sometimes Rab wondered if the sun and moon and stars were really up there at all and if everything his father had told him was just foolish folk tales. Maybe the world had always been this way; it was easier to accept that than it was to accept that the world had up and turned on itself. Easier but not logical. All the evidence spoke against it and all the evidence was telling him that he and everyone who would come after him had been cheated. "What are we stopping for?" Fin demanded as he backtracked towards the spot where Rab was waiting. "I thought we were in a hurry." "Gift needs to rest," he said, "and you and I need to eat something." Fin shrugged and then wriggled out of the packs. Rab lowered Stitch to the ground. Not surprisingly, the boy was travelling the best of all of them since he'd basically been riding most of the way. Rab's arms were beginning to cramp from the effort of holding Stitch's legs so tightly. He'd become accustomed to the periodic twinges surging up along his spine as he walked, but the latest twinge seemed to have lodged itself into a knot at the back of his neck. No amount of bending, twisting, or contorting of his neck muscles showed any promise of shifting it. Of her own accord, Gift began judiciously distributing the food, prompting Rab to acknowledge that of the three children, she had the most practical mind and was probably the one he could most readily trust. Bending to take the food from her outstretched hand, he seized the opportunity to assess Fin's condition. The older boy sat huddled in an uncomfortable-looking pose, knees drawn tight up into his chest, head drooping to one side. With a great deal of reluctance, Rab conceded his error; carrying all three packs was too much for the boy. When they set off again, he would have to relieve Fin of at least one of the packs. Maybe every so often, Stitch could walk some more. They'd lose some time, but what was the alternative? As Gift approached him, Fin's head drifted up from its half-mast position. He took the food from her, but immediately began looking over each shoulder until his attention finally settled on Rab. A moment later Rab realised what was wrong; Stitch was missing. Rab jumped to his feet an instant before Fin did. Beside Fin, Gift was twirling around, trying to take in all directions at once. "He can't have gone far," Rab said. That much was true - but it didn't mean he wasn't lying out there injured. Again and again, Fin called for his brother, but received no reply. Rab sprinted off to search for the boy himself, but Gift's steady voice quickly called him back. She'd found him a short distance away, grubby-faced and casually stuffing rocks into his pockets. He was still struggling to supplement the hoard even as Rab dragged him back to Fin. "I told you to watch him," he snapped, shoving Stitch forward. A few of the rocks Stitch had gathered, but hadn't stowed, tumbled from his hands. "I can't do everything." Fin opened his mouth to speak but said nothing. Rab didn't need to hear any words; resentment was apparent in the set of Fin's jaw and the piercing stare of his eyes. He resented being cast out of the village; he resented taking orders from Rab, the self-styled yet untried leader; but most of all, he simply resented Rab, the person. Given time and the application of a little reason, the boy might eventually come to accept that Blaze, not Rab, had been responsible for his expulsion and that she had only done it in an attempt to save him. And given time, a little experience, and a lot of luck, Rab might eventually convince Fin that Blaze's faith in him wasn't misplaced, even if he wasn't all that convinced of it himself just yet. But no amount of time and no number of hardships they overcame under his leadership would mellow Fin's innate disposition. The boy just didn't like him. On the other hand, Gift apparently did, a fact Rab couldn't readily explain. She tugged on his sleeve, drawing his attention. "The wind's picking up and I think it's going to snow," she said in that practical manner of hers. "Shouldn't we move on now and find some shelter?" Whether she had intended it to or not, and Rab had the sneaking suspicion that she had, her observation put a sudden end to the tense moment. His little charge was right. When he looked up, Rab saw for himself that the perennially gloomy sky had deteriorated into something more menacing. There was a greater heaviness to it now and, in places the headwind had dragged the dirty grey clouds down so low, it seemed like he could just reach up and touch them. Gift might be presaging events a little early, but by night, there was little doubt they'd be walking blind into a bitter wind on ground that would be blanketed in slick, brown snow. They had to get moving and find shelter. Despite the incessant pain in his back, it clearly wasn't the best time to relegate Stitch to the ground. He'd simply have to manage Stitch and one of the packs as well. Perhaps tomorrow, if the weather was better, he'd have that opportunity to sacrifice a little bit of time for a little bit of comfort. Rab struck off for the packs and grabbed the one he judged to be of intermediate weight. "I left you the heaviest," he explained, anticipating that Fin would misconstrue his action. He had no intention of leaving all three children behind. "I'll manage with Stitch and this pack until we get to shelter." "Whatever you say," Fin answered with a shrug and, walking over, stooped to gather the remaining packs. "You're in charge after all." "Why can't I carry one?" Gift asked, scooping up her stick. The wind was beginning to gust and every now and then a random eddy caught hold of her dark hair, flinging the long strands in all directions. She didn't bother to rein them in. For one brief moment as she stood there, defiant of the wind and their circumstances, she seemed to Rab a natural child of this place. Without a doubt she would give carrying a heavy pack one almighty try. He smiled and motioned for Stitch to climb onto his back. "Maybe when they're a bit lighter," he told her. "After some of the food and water is gone." That was another question Fin was certain to pose before long, one for which Rab, unfortunately, would have no answer. After some of the food was gone, what then? So far nothing in their immediate environment had looked promising. After they'd left the 'shroom fields, Rab had kept an eye out, hoping to spot something, anything that, for generations, might have been overlooked by the people of his village. It had been a slim chance at best, but his constant scanning had turned up nothing, even in the rotten forest. The landscape was barren, lain waste by bad air and the rare but poisonous rain. Only the constant husbandry of the villagers had managed to keep the 'shroom crops going back home. There was no denying it - for Rab and his sorry trio, the time was undoubtedly approaching when their bellies would be empty and their muscles would be too weakened to continue. He almost welcomed the distraction when Stitch's elbows dug painfully into his side. "We have to move faster," Rab said, catching Fin with a glance when Gift ambled out of earshot. She looked to be managing the terrain with ease, the stick Rab suspected more of a hindrance now than a help. "Especially if Gift is right. I'll carry the pack and Stitch today; tomorrow you take all three packs again. We'll continue that way from now on. One day you'll have all three packs, the next day only two. All right?" Without warning, Stitch listed to one side and the pack to the other, throwing Rab immediately off balance. After centring Stitch again as best he could, he looked up to find Fin still standing in front of him. "You're asking me?" the boy said, then turning on his heels, inclined his head into the wind and ploughed out into the plummeting cold. They walked that way for the rest of the day, Fin constantly struggling despite having been relieved of one pack, and Rab with Stitch and the single pack that seemed to grow heavier with each hard-won step. The wind, as Gift had predicted, grew worse. Rab kept one eye on the ground in front of him and another peeled for any potential shelter. But the landscape remained monotonously featureless without promise of a protective overhang that might give them some relief for the night, and without it Rab held grave fears for their survival in the open. Their journey certainly hadn't amounted to much: a few days travel. Still, Rab had known from the outset that death was a potential outcome of his journey. He just hadn't expected it to come about so soon, or that he'd be taking three children with him. When Gift stopped walking, Rab thought little of it. Gathering her bearings, he guessed. He plodded on past her without comment. Her call brought him to a halt. "Can't you feel it?" she asked when he turned around. Well, he couldn't feel it, not like she had, but the bitter smell hit him then and he had no inclination to doubt Gift's judgement. Since leaving the village, they'd walked consistently head-first into the wind, now it was shifting, pushing the distinct stench of the river ahead of it. A sudden broadsiding gust confirmed the wind's new direction. Their need to find shelter had just become more immediate. Battling the wind head-on was bad enough but being erratically broadsided increased the likelihood that one or other of them would lose their footing on the slippery terrain. At least the vile smell in the wind told Rab they were still on course; it was also telling him which direction not to go seeking shelter. He waved Gift off to the right and then called for Fin. The boy was slow in responding and, at first, Rab feared that his instructions had been lost to the wind. But Fin had heard him. The boy glanced briefly over his shoulder before swinging off in an arc to his left. He was taking advantage of the buffeting wind, letting it control his trajectory and speed, rather than battle completely against it. Occasionally the kid displayed unexpected intelligence. Perhaps they'd never bridge the rift between them, but as long as they journeyed in the same direction, Rab didn't particularly care if they travelled on opposite sides of the road. Gift was beginning to drift out of sight, something he couldn't allow. Stitch, still clamped to his back, seemed to have picked up on the scent of his panic. He'd taken to squirming about in a vain attempt to fasten his thin arms more firmly about Rab's neck. The wind, now gusting directly at Rab's back, was threatening to topple him over, but he had to run if he wanted to catch up with Gift. To his left, he could see Fin struggling to keep balance. "Hurry! Hurry!" Gift called. She'd pulled up just ahead of Rab and was now jumping up and down on the spot. "I've found somewhere." Rab just caught her words despite the wind's best effort to steal them away. Trust Gift! But when he reached her, Rab was disappointed to discover that 'somewhere' actually amounted to little more than a depression in the earth on the lee side of a low rise. Still it was better than he had managed and, at a calmer moment, Fin was certain to remind him of that. He reached out a hand and ruffled Gift's hair. It was somewhere after all. After hastily discarding his pack, Rab carefully offloaded Stitch. Fin staggered up on the left, sloughed off his packs and slung them down beside Rab's. "What's she found?" he asked, raggedly snatching a breath. "And what the hell is she doing?" Rab turned to find Gift on her hands and knees, madly flinging great handfuls of dirt into the wind. The little one had bettered him again. "What do you think she's doing?" He dropped over the rise to join Gift. "Digging us in." When he looked up and saw Fin just standing there, wearing a puzzled expression, Rab bellowed. "Get down here - both of you. And start digging." They survived the night, courtesy of Gift, but hadn't eaten any food or managed to catch any sleep. Even Stitch had stayed alert all through the night, huddled into the crook of his brother's arm. Shortly after they had hunkered down into Gift's shelter, the snow had come. Its freezing, gritty flakes had buried the packs that Rab had stacked above their heads to combat the battering of the wind and every so often a cascade of dirty powder had tumbled down into their laps. Against his better judgement, Rab had allowed them the luxury of a slow breakfast. There might not be another opportunity to eat again that day as they had to make up lost time. Suddenly the arbitrary schedule he'd set seemed ironic. After all he was only hurrying them off to a place that probably no longer existed, against a deadline that was probably long past. But it was Rab's day to walk free of the pack and carry only Stitch, so when they finally set out, his dark mood lifted a little. Fin wasn't pleased about the arrangement, but then Fin never seemed pleased about anything. The day dragged out with little time spared for either conversation or food. Gift trudged beside Rab most of the way and when it became too dark to risk walking farther, they stopped, cold and spent. There was no lucky stumbling onto shelter that night and Fin didn't protest when Rab settled his young brother down with Gift. In the morning, they rose, ate a little, then moved on until they could go no farther and stopped to eat and rest again. The next day, they began it all anew - this seemingly endless journey that offered little in the way of food or hope. For two days, they walked in and out of a strange grey mist, different to the kind they were used to. At first, when the mist was only thin, Rab wasn't concerned. Since leaving the village, they had walked into a headwind and he could still feel the constant wind on his face, reassuring him of their direction. And their thick outer clothing was more than adequate to protect them from the slight moisture, their boots sturdy enough and watertight. It was only when they came upon the first dense pocket of mist, which swallowed up the wind and the few words spoken among them, that Rab's heart began to hammer. There inside those still and silent voids, Rab wrestled the hardest with his fears and doubts. Was he only imagining those fleeting brushes of wind on his face as they moved blindly through the mist? Had he turned them around? Were they travelling in completely the wrong direction? The mist left as unexpectedly as it had come, taking with it the awful silence and stillness, and returning the scent of the river. Certain then of their direction, Rab turned his face to the wind and pressed on - one full day gently climbing, another just as gently descending until they came upon a barren plain. Day after dreary day, Rab edged them ever northward across that plain, watching Fin grow increasingly more indifferent, trading the burden of Stitch and the packs, until he lost track of just how long it had been since they had left the village. He thought it was about twelve or thirteen days but couldn't be sure. Today it was his turn to carry Stitch and one of the packs. Around midday, he broke his rule and allowed Stitch to walk a while by himself again, guiltily rationalising that without some exercise the boy would become too sickly to go on. As evening approached, Stitch was on his back once again. The process of taking each step had become entirely mechanical. When Fin stumbled upon a patch of soft snow, Rab called a halt. Here they could at least dig themselves in again, while farther on they might only encounter more bitterly cold open ground. They passed a better night and woke to an uncommonly clearer day. Rab hadn't intended to doze off again, only to laze a little longer in the hollow they'd cleared of dirty snow. Gift's anxious voice roused him; she was calling frantically for Stitch. Rab scrambled out of the shallow pit in search of Gift. A second before he found her, he heard Stitch cry out, but the boy's words were largely unintelligible. Relief did little to contain Rab's anger - with Fin and himself. "Where's Stitch calling from? I can't see him." "I think he's over there," Gift said, pointing towards a nearby hill. Fin came running towards them from the opposite direction. When Stitch sang out again, Rab thought he could make out what the boy was saying. But the boy couldn't possibly have said that! "Did I hear right?" Fin asked. His face was bright red and he was gasping heavily. "Did he say -?" "Launch pad," Gift replied calmly. "He said launch pad." Without a thought for their abandoned packs or Gift, Rab bolted off towards the hill with Fin close on his heels. Halfway up, he thought to turn and check on Gift. The little girl was stoically plodding up the slope behind them. Rab rushed ahead but, on cresting the top of the hill, failed to see Stitch. After a few anxious moments, he finally spotted him careening down the other side of the hill. The pumping of the boy's little feet was no match for Rab's rapid long strides and he soon had Stitch swooped up. Behind him, Rab could hear Fin screaming down at his little brother. He turned to see Fin sliding down the icy slope and Gift's little silhouette on the summit. A plume of ice heralded Fin's arrival. "If you ever -" Fin began. "Look! Look!" Stitch cut him off. From the moment Rab had scooped him up, Stitch hadn't stopped flailing to break free. When he glanced downhill again, Rab finally understood the reason for the boy's excitement. From a distance, what Stitch had discovered appeared as little more than a dense black shape dominating the foreground in a diffuse grey background of sky. Still, it had to be a building just the same; it couldn't be anything else. But something wasn't right. There shouldn't be a launch pad here - surely they hadn't come far enough yet. And what was a launch pad doing right on the river? To Rab's mind, it didn't seem a likely place to have built one. "Well?" he said, glancing at Fin. "Any ideas?" "I'm going down there." Without waiting for Rab's response, Fin took off in a tumbling sort of scuttle down the slope. "Wait," Rab called after him. "We've left the packs behind." "You wait here with Stitch and Gift," Rab said. He released the excited child, who promptly shot off after his older brother. If Fin hadn't captured him mid-stride, Stitch would have kept on going all the way down to the river at his break-neck pace. "We won't move until you get back," Gift said, aiming a reassuring smile at Rab as she passed, heading for the boys. "Promise." It was madness to trust three children, but someone had to get the packs. The moment Rab's back was turned, Fin hollered. Somehow he must have drifted off course coming down the hill because when Rab reached the spot where he'd thought they'd left the packs, he couldn't see them. And there was little to differentiate one spot from another - in the wasted landscape, everything looked the same. Rab began to panic. What if he could never find them? Unthinkable! He drew a deep, calming breath and looked around again, sighing with relief when he spotted the packs. They had been right in front of him all along. He'd been gone too long already but sacrificed a little more time to ensure that the fastenings were secure and that nothing had been left on the ground before starting back to the children. He arrived on the other side of the hill to find Stitch hopping from one foot to the other, Gift settled cross-legged on the ground, and Fin looking annoyed. "You took your time," Fin said. The boy had enough misgivings about his leadership, but he'd have had cause for more if Rab confessed that he'd had trouble finding the packs. "Just keep your eyes on Stitch," Rab said instead, motioning Fin to start out for the river. "Don't let him run ahead." Easier said than done, Rab conceded, happy for once to have the responsibility of all the packs while Fin was left with the impossible task of reining in an excited child. Reaching down, he hoisted Gift up from the ground. Her round, black eyes turned on him and she shrugged. "What?" he asked as they set off down the slope together. "Can't be what he thinks it is," she said. "You think so too, huh? What's your guess then?" "Don't know, but it's not a launch pad." Gift was probably right. It wasn't a launch pad, but Rab could make no better guess about what it might be, either. And something else was niggling at him beyond an uncertainty about what Stitch had discovered. They'd learn what it was, or confirm what it wasn't, soon enough. But Stitch obviously saw and remembered more than Gift credited. Fin was old enough to have heard the stories Rab's father told. But where had Stitch, and Gift for that matter, heard them? Seemed his father wasn't the only person in their village with a fondness for breaking taboos. Downslope, Fin was struggling to keep up with his young brother, while Gift was making a game of walking step for step in Fin's tracks. Rab just hoped no one took a tumble. "There's a kind of road here," Fin called over his shoulder. "And a gate of some sort." That made sense if the site had been used as a launch pad. In those last frantic days, some sort of security would have been needed. But it still wasn't enough to convince Rab. In fact, the closer he came, and the more he could see of the building, the less he believed in Stitch's over-enthusiastic assessment. The strange complex was intended for some other purpose, but Rab couldn't even imagine what that might be. Their forebears had been notoriously enterprising. At least, that's what his father had said and Rab had never found cause to doubt his father's word on that at least. "Wait right there!" Rab called. "Don't go inside." Either Fin hadn't heard him or he chose not to listen. "Do you hear me?" Rab yelled. Despite the painful banging of the packs against his back, he risked a run down the last of the slope. The river and bad smells went hand in hand, so he'd expected a worsening of the stench the closer he drew to its bank, but the air he was rushing into was the foulest he'd ever encountered. And it was becoming obvious that the complex was something very different to what he'd first thought. Looking down from the top of the hill, his eye had been deceived, leading Rab to interpret the silhouettes of two spindly towers, the mounded profile of the surrounding snow-covered earth and three or four badly collapsed outlier buildings as a single structure. But now he could plainly see that the complex was not one sprawling building, but a collection of many smaller units. A short distance from the complex itself, a tall fence sealed off immediate access. Rab caught up with Fin and Gift by a pair of high wire gates. Stitch had already wandered off to inspect the neighbouring fence line. He'd be looking for breaches and Rab couldn't afford for him to find one and take it into his head to climb through. Dumping the packs at the base of the gates, he hurried off to intercept Stitch. "No you don't," he said, grabbing the tail of the boy's coat. "But we can't get in that way," Stitch complained. "We're not going in." He spun the boy around and, with a slap to his rear, spurred him back towards the gates. Fin was shaking at the gates when they returned. "They're stuck." "Good. We can see enough from here." Before Rab could stop him, Fin lunged at the gates. But his boots were too big to permit a good foothold. As he tried to scramble higher, he slipped and was left dangling from just one hand. "Get off!" Rab called. "It's not ..."
The gates began to teeter. Rab made a grab for Stitch and Gift and dragged them out of the way. He'd had no time to rescue the packs. If the gates toppled outward, the packs and Fin would be pinned beneath them. There was an ominous screech just before the gates gave way. Fin lost his grip completely and, for an instant, he was free-falling as the massive gates collapsed inward towards the complex. The gates came to rest with a thud that shook the ground. Fin came to rest a second later, spread-eagled on top of them. Gift was the first to reach Fin and had him half on his feet by the time Rab had managed to scramble over the wire mesh. "Anything broken?" Grabbing Fin under both arms, Rab hauled him the rest of the way up. "Don't think so," Fin answered, dazed still and struggling for balance on the unstable mesh. "Then let's just get off before we put a foot through this stuff." Rab looked around in search of Stitch. The sight of his free-falling brother seemed to have momentarily pinned the boy to the spot. "Just stay there," Rab shouted and, with Fin in tow, began clambering over the wobbling surface, anxious to reach solid ground. Gift went ahead of them, her lighter weight making the going easier. Once back on sound footing, Rab satisfied himself that Fin was indeed uninjured first before venting his anger. "What were you thinking? Were you even thinking?" "Got us in, didn't I?" Bending, Fin reached out to capture Stitch who was excitedly running for him. "I'm fine," he said, straightening. "Let's look inside." "No." Rab moved off to collect the abandoned packs. "We've wasted enough time. We're moving on. It's obvious this place is deserted. There's nothing and no one here." Grabbing the packs, he turned back to Fin. "Besides, haven't you noticed the smell? There's something really bad here." Fin only shrugged disinterest. "We're closer to the river. What did you expect?" "And I say yes." Fin was already making his way around the collapsed gates, carrying Stitch in his arms. "Come on, Gift." "He's not going to listen," Gift said, tugging on Rab's sleeve. "Shouldn't we go with him? Just to make sure he doesn't do something stupid?" Furious, Rab dumped the packs on the ground. "He's already done it." Reaching down, he took Gift's hand. "Don't let go, all right? I don't like this place." "Told you it wasn't a launch pad," she said, latching onto his hand more firmly. "No, it isn't," he agreed as he took off with Gift across the icy ground in pursuit of the boys. "But I think I know what it could be." Just then Fin glanced over his shoulder and, catching sight of Rab following, smiled knowingly. Sooner or later, Fin's recklessness was going to get them all into trouble. He'd been lucky not to have hurt himself when the gates collapsed. It was a pity he hadn't scratched himself up a bit, maybe knocked out a tooth or two and knocked in some common sense. "Do you think they're all dead? The people who lived here?" Gift asked. "No one lived here, Gift," Rab answered. "It's not that sort of place." Fin was nearing the base of one of the spindly towers. If he took it into his head to climb it, he was certain to fall. "I know they didn't exactly live here," Gift said, sounding mildly offended, "but if they came here, then they had to live nearby, didn't they?" Rab glanced down at the little girl. Of course they did. He hadn't even stopped to think about it. Somewhere not too far away, there had to be, or at least have been, a town, somewhere the people who'd built this complex called home. Maybe a small number of the community had survived and, even if they hadn't, perhaps some of their dwellings had. Coming across the curious complex might just have netted them something after all - the prospect of cover for the night. Sheltering anywhere near the towers was out of the question. At any moment, one of the snow-capped towers could tumble. And the foul air wasn't fit to breathe for any length of time. "Maybe you should lead this party," Rab suggested with a smile. Gift shook her head. "Fin won't do what I tell him, either." She pointed ahead. Just as Rab feared, Fin had deposited his brother on the ground and was looking for a foothold on the nearest tower. "Haven't you had enough?" Rab called to him angrily. "It's rotten." For once, Fin listened. Perhaps the tumble on the gates had taught him a lesson or two. He was still standing at the base of the brick tower, looking up thoughtfully, when Rab and Gift arrived. "There has to be a way up," he said. "Why? And what for?" Releasing Gift's hand, Rab reached out and slipped his fingers into a large gap in the brickwork. With little effort he wrenched out the upper brick. Most of it crumbled to dust in his palm. "Rotten." Fin shrugged and walked away, intent on circling the tower anyway. "Well?" Gift said. "What do you think this place is?" Rab was about to answer when a sudden spasm of coughing intervened. By the time the fit was over, his eyes were watering, his throat burning, and Gift was looking up at him, wide-eyed with concern. "Is it that bad?" she asked. "I can't really smell it." "It's that bad," Rab replied. "We can't stay here very long. Even if you can't smell it, it must still be doing you damage. And it isn't just the river. It's something else." He glanced around to find Fin who, having made his way to one of the snow-covered mounds, was busy clawing his way up. He'd been wrong a moment ago; the kid would never learn. "Get down off there. The whole thing could collapse." Rab barely had the words out before he broke down into another spasm of coughing. When it was over, he looked up to see that Fin had made it midway up the mound. "It's safe enough," Fin called to him across the compound. "It's not! Use your eyes." Leading Gift, Rab took off towards the mound. In harm's way beneath it, Stitch stood, glancing up. "You're climbing on a pile of crumbling bricks. This place was a brick factory. You're likely to bring the whole lot down." "I was trying to get a better view," Fin grumbled. A cascade of loose, dirty snow accompanied his descent, showering the three on the ground below. Fin's breathing sounded laboured and Rab didn't doubt for one moment that exertion from the climb wasn't the only cause. Perhaps none of the kids could smell the ghastly stench, but it would be playing havoc with their lungs just the same. "Can you read?" As he retraced his steps around the mound, Fin stooped to collect a shattered brick from the ground. "There's something written here." Wrenching the brick from his hand, Rab gave it a brief glance. The brick looked to be finely crafted, making the bricks in his village seem crude in comparison, but the marks on it meant nothing to him. "Of course I can't read," he said, tossing the brick aside. "Figured." Fin shrugged and pointed towards the partly collapsed building behind him. "I'm going inside. What if there's something we could use? You stay here if you want to, or go back with Gift," he reached for his brother's hand, "but me and Stitch are going in." Fin walked off anyway, trailing Stitch. "He won't listen," Gift said with a sober shake of her head. Surely on his worst day, Rab had never behaved as stupidly as this boy. Fin wasn't just endangering himself, but his brother as well. He set off after the pair, leaving Gift to follow through the debris field of bricks. "Don't touch anything," he called to the boys. If there'd once been a dedicated doorway to the building, it was long gone now. Rab scrambled over a jumble of bricks at the wide and ragged opening. Coming off the pile, he landed in an ice-sheathed layer of sharp-edged wreckage. Once inside, it took a moment for his eyes to adjust. He couldn't see either of the boys anywhere, but a pyramid of surprisingly intact bricks off to his left confirmed his assessment of the place. Overhead, a series of catwalks chaotically cross-hatched the open space beneath a sagging ceiling that had enough jagged holes in it to irregularly spot-light the floor below. All around, dirty flakes of snow drifted through the rank and bitter-tasting air. Rab sneezed violently and then called out for Fin. Directly over his head, someone was standing on one of the catwalks. Judging by the size of the silhouette, it was Fin. "I can see the river," Fin called down, then disappeared completely out of sight. Furious, Rab ploughed through the scattered debris, searching for some way up. In front of him, set into the side wall of the building, were three deep, dark and heavily-reinforced recesses. Hard up against the wall of the left-most recess, Rab found a set of concrete stairs. The edges of most of the treads had been gnawed away and the surfaces showed the usual pits and pockmarks typical of caustic decay, but they looked secure enough. When Rab gripped the gnarled handrail, his glove came away coated in orange-coloured powder. At the top, he stepped carefully onto the mesh floor of the catwalk. Wan daylight seeped into the upper floor through an enormous cavity in the back wall of the building and Fin, a hazy-edged shadow, was standing at the far end of the catwalk less than a step away from the gaping hole. Stitch was nowhere in sight. Rab tapped a foot to the mesh. It seemed intact, but through it, he could see to the floor below. The sensation was disorienting. Worse still the quality of the air had deteriorated even more. It was long past time to get out. He didn't look down again, but threaded his way along the catwalk, heading for Fin and the yawning hole in the outer wall of the building. One slip and the boy would go plummeting out through the hole and into the river below. Fin turned at the clanging of his footsteps. Rab ignored the invitation. "Where's Stitch?" Fin waved his concern aside. "Over there!" Looking back, Rab spotted Stitch in the distance, waiting on the other side of the catwalk. Cautiously he took another step and, on reaching Fin, peered down and around him into space. He could almost see the surface of the river now through the permanent brown mist. Glancing down, he took stock of the catwalk again. If the mesh would hold him, he could step a little closer and maybe, just maybe, actually see the water. Rab tested his footing once more, then took a tentative step. Nothing. No creaks. No snaps. Three more slow and cautious steps brought him as close as he was prepared to go. The elevation and a want of solid ground beneath made him feel dizzy. Besides, from where he was, he could finally see the surface. He raised his hand, intending to wipe his eyes, but noticed the orange film still clinging to his glove and changed his mind. But even though his eyes watered and stung, he could still see well enough to make out the broad streams of whitish sludge that oozed away from the bank below, and to notice how each downstream flow seeped into the one ahead of it. The separate dirty bands of brown and grey snaked around the isolated sheets of ice and eventually coalesced with the river's murky scum to create a swirling, frothing soup in the middle of the river. Upstream the water looked uniformly brown and dirty, but there was no evidence of the foul scum. Downstream lay his village and the current was drawing the ice and stained scum directly towards it. They had to leave - now - because something bad was seeping from this place and emptying into the river. Suddenly Rab heard a scream. In the time it took him to snap his head around, Fin shot past him. Heedless of his footing, the boy was making straight for Stitch, who at that moment was dangling beneath the catwalk, one arm hooked around a jagged intact section of mesh, the other flailing about in open air. An instant later, broken pieces of catwalk crashed onto the factory floor below. "I can reach him," Fin called. Rab stood motionless, only vaguely aware of Fin calling to him as he ran for the hole in the catwalk. On the floor below, he could see Gift, her head tilted up, staring at the dangling boy. There wasn't a thing he could do. He certainly couldn't go after either boy. Fin would be lucky if the remaining mesh took his lesser weight. Each time his foot came down, the catwalk bounced. Rab could feel the sickening vibrations. Fin's feet pounded; the catwalk clanged; and Stitch let out another deafening high-pitched wail. On the ground below, Gift lifted her hands to shield her ears. If Stitch fell now, he'd take Gift out with him when he hit the ground. Frantic, Rab waved and waved again in an effort to attract her attention. "Gift," he called. "Move back! Move back!" Whether she'd heard or even seen him, Rab couldn't tell, but she did come at last to her senses. She backed away, but her focus never wavered from Stitch, dangling precariously above. With Gift safely out of the way, Rab began to inch along the catwalk. One step - two. The mesh beneath him sagged each time he dared to move. He had to get off the catwalk, reach the floor below and find something to break Stitch's fall. Fin shouted out a plea for his brother to be quiet and stop struggling. The shout grabbed Rab's attention. Fin was almost at the hole now - on his belly, clawing his way along the mesh. All Rab could hear then was the thumping of his own heart in his chest. "Look around, Gift," he called as he rushed the remaining distance towards the stairs. Though the mesh bounced, it held. "Find something we can use to catch him - anything!" Launching himself off the catwalk, Rab began to take the steps two, sometimes three, at a time, his eye on Gift who was running from one place to another across the floor of the ruined factory. "There's nothing. Nothing!" she cried. At the foot of the stairs, Rab swung around the railing and propelled himself in the opposite direction. As he joined in the search for something to break Stitch's fall, he kept glancing overhead to check on the safety of the boys. He saw Fin lean over the ragged hole and lower his arm towards Stitch. But his attention was back on the ground the moment Stitch actually fell. He heard the plop though. It happened so fast and with so little apparent significance. RAB didn't want to look - either at Gift, who'd gone suddenly quiet somewhere, or the little bundle on the floor. He turned and rushed towards the bundle anyway, sickened at the thought of what he might find. When he dropped down beside the fallen child, he was startled to hear a soft moan. Looking up, he spotted Fin still dangling through the hole in the catwalk. "He's alive," Rab shouted. "But his leg is broken for sure. I can't tell what else. Get down here. But take it slowly." His attention returned to Stitch; the boy's breath was barely frosting. "He's hardly making a sound," Gift cried, skidding to a halt by Rab's side. "What's wrong with him?" "He's unconscious, Gift," Rab explained. Stripping off the warm coat Blaze had given him, Rab thrust it towards her. "Start tearing strips from the lining. Make them as long as you can." While Rab inspected Stitch's leg, Gift set to work on his coat. If the coat hadn't been so old, her little hands wouldn't have been able to do it, but as it was, she managed to tear length after length from the lining. "Save the padding," he said. "I'll pack it inside the bandage." Gift nodded and began stacking the fluffy wads to one side. It was a bad break - with what looked to be a sliver of shin bone protruding through the boy's skin. Rab did his best to clean the ugly wound. Gift had seen the full extent of damage to boy's leg and although she worked industriously at stripping Blaze's coat, her hands trembled. Rab struggled to keep his own emotions and the shakiness of his own hands in check; he couldn't afford to alarm her any further. Out of the corner of his eye, he noticed Fin. The boy had made it off the catwalk in one piece. "Stay out of my way, Fin," Rab hissed. "Just stay out of my way." Fin walked out in front again beside Gift, all three packs slung across his back. Every so often he glanced back. Rab had been estimating and counting their walks since they'd left the factory - they could have walked at least nine times backward and forward through their small village by now - and it had been an incredibly demanding nine walks for Rab. The boy remained unconscious and the strapped-up leg made carrying him even more difficult than usual. Rab was gambling everything now on the possibility that Gift was right - that the people who had worked in the factory had to have lived somewhere nearby. The ruined road tracked a little too close to the river for Rab's liking, but he had no other choice. They simply had to find shelter. If they were lucky, they might also find people and maybe, among them, someone who knew better than he did what to do for the boy's leg and the nasty gash he'd subsequently discovered on the back of the boy's head. Rab's first impulse had been to return to the village and hope that Blaze could do something to help Stitch. It seemed the only option until he looked again at Gift and remembered the promise she'd had him make, the promise to save Stitch if ever the time came to choose among them. He wasn't about to keep that promise. Over the last few days it had become quite clear to him that she was the only one of them worth saving - not Fin, certainly not himself, and not even Stitch. She had the happy combination of strength, cunning and calm that the rest of them lacked. With the right chance, she could make it and, although he hadn't asked for or wanted it, it had become his responsibility to ensure that she got that chance. "We're coming to something," Fin called over his shoulder. "But it looks deserted." The boy's news wasn't unexpected. More than likely they were on their own. Well, they'd started out that way and Rab had always known there was a good chance they'd end that way. "Is there somewhere to shelter at least?" Fin stopped abruptly in the middle of the road ahead. Gift, too, spun around. She flung the hood back from her head and beamed Rab an extraordinary smile. "What is it?" he asked, hurrying as best he could manage to catch up. The settlement the children had spotted looked small, an irregular smudge, lying still and silent maybe two walks down the road. "Isn't it beautiful?" Gift crowed. "What's beautiful about it?" Fin asked, looking appalled. "A roof over our heads tonight," Rab replied. "That's what's beautiful and, if we're lucky, maybe there'll be people, too." Fin just shook his head. The boy was probably right. The place did appear to be deserted and in as ruined a state as the road that led to it. Still, it did promise that roof over their heads and, for the moment, Rab would settle for that. "Better get going," Rab said. He was desperate to lay Stitch down somewhere. "And make sure you stay together." Gift lingered, undoubtedly waiting on Rab's censure. When it didn't come, she shrugged and set off ahead of Fin. "All right," Rab said, once Gift was out of earshot. "What's the problem now?" "What if there are people," Fin began, kicking up a cloud of brown snow with the toe of his boot, "but maybe not the sort of people you want to find?" Rab had thought about that possibility, too, and had been hoping that neither Fin nor Gift would. At least Fin had had the good sense not to mention it within Gift's hearing, because if there were people there, and not the sort of people he wanted to find, then Rab had no plan whatsoever to deal with it. "Well, that would just round out this day, wouldn't it?" he said, aping Gift's shrug. In their world, everything came out of the darkness as a surprise. The settlement they'd found was no different, but Rab's suspicions about its true size and state were confirmed; Gift had grossly overestimated both. The settlement was probably no more than five, perhaps six, times the size of their own village and, while the road to it had fared poorly, the little town itself had fared worse. Time, neglect, and the poison rain had taken its toll. It was unlikely they'd find anyone, friendly or otherwise, inside. At the boundary of the town, the road split into a number of narrow lanes. As they trudged down lane after lane, all they came upon was the pock-marked wreckage of the squat dwellings that flanked them and, scattered here and there among the rubble, the jagged remnants of the same type of brick they had already seen at the abandoned factory. The village was eerily silent and Rab didn't need to worry about Fin and Gift staying close. Gift had latched her hand onto Fin's and showed no inclination to let go. But they had to stop somewhere and soon. The dead weight of Stitch on his back constantly threw Rab off balance, making a stumble likely. "Find some place, Fin. Anywhere," he said. "I need to put Stitch down." Fin stopped to turn around. "Everything is in ruins. What do you expect me to find?" Gift let go of Fin's hand, clambered over a large chunk of rough concrete just to the right of them and then started to amble down a row of collapsed shanties. "Here's all right," she called in a muffled voice. Her head was stuffed inside an off-kilter doorway. "There's still a roof and it looks safe." "Don't go inside without me," Rab shouted. Stitch slipped low on his back when Rab scrambled over the debris towards Gift. Her body filled most of the jagged doorway, but looking over the top of her head, he could see enough to allow that she had honed in on one of the few crudely built shacks that appeared to have most of its roof intact. He called to Fin, standing sentinel-like in the middle of the lane. "Come over here and take your brother. I want to look inside first. And hurry up," he said, "before I drop him." Fin took his time and made no attempt to veil his resentment when he lifted Stitch from Rab's back. Stifling a sigh of relief, Rab took Gift's hand. It was her find and she had the right of a vote. The place was even darker than his space back at their village. Of course they could always clear away some of the debris to let in a little more of the insipid outside light, but that would only defeat their purpose. When night fell and the temperature dropped further, they'd be grateful for the additional protection. With his eyes fully adjusted now, Rab glanced up to assess the ceiling. It was largely intact. Gift had found them an acceptable haven - for the night at least. He looked around, desperate to find something useful lying about on the floor; there was only more debris. The place had been scavenged and probably long ago. There was nothing to burn. Perhaps they would have been better off trying to walk through the night instead. Rab glanced back past the opening towards Fin. The boy was having a hard time balancing the packs on his back and Stitch in his arms. Even without the packs, it was doubtful that Fin could share the burden of carrying the little boy and, without rest, Rab couldn't manage to carry him for much longer, either. The decision whether to go or to stay had already been made for him. "So, what do you say, Gift?" he asked. Rab made Stitch as comfortable as possible, stationed Gift beside him to keep watch, then sent Fin out with instructions to walk in a straight line, first one way, then the other. If he couldn't find anything flammable, then he was to come back immediately. The boy had been gone a long time. "Why isn't he waking up, Rab?" Gift asked, snatching Rab's attention away from the empty doorway. He turned, knelt down again beside Gift, and looked once more at the silent boy. "I don't know," he answered, running a hand through tangled hair. "Maybe tomorrow," he said with a gentle touch to Gift's shoulder. "You stay here. Look after him. I'm going to see what's keeping Fin." "He's just sulking again," she replied. "He'll come back when he's ready." "You're probably right." Rab scrambled up from the floor. His feet ached, his back hurt and his spine was a twisted knot at the nape of his neck. "Back soon." Throwing on Blaze's coat, he stepped out through the ruined doorway. The coat wasn't keeping him as warm as it had before he'd sacrificed much of its bulky lining to bandage Stitch's leg. Even drawing it tightly about his chest didn't make a lot of difference. Fin was nowhere in sight and night was closing in. As he clambered over the huge slab of concrete near the entrance to the shack, Rab silently cursed the boy and his arrogance. One member of their party was already injured. If a second were injured, they could forget about moving on. Gift's noble directive would count for nothing. There'd be no saving Stitch - or anyone else. They'd die here, all four of them. Rab kept to the middle of the lane, thinking there'd be less debris there to trip him up. And though he called Fin's name over and over again, the boy didn't respond. At the junction in the lane, which was as far as he'd told the boy to go, he called again. Still no answer. Turning, he started back the way he'd come, passed the ruined shanty where Stitch and Gift were sheltering, and stopped when he reached the place where the lane met the road they'd taken from the abandoned factory. Unless Fin had wandered well outside the village, he had to have heard Rab's call, but only his own voice echoed back at him. A scraping sound at his back made Rab spin around. Usually he would have sensed something so close. Not this time. He was just too drained. "Found this," Fin said, appearing suddenly out of the darkness. "Why didn't you answer me?" Rab demanded, lashing out angrily. Fin was hauling something large behind him. "I thought we could break this up," he said. When the thing he was hauling caught on a pile of broken bricks, he gave it a tug to unsnag it. Rab made his way over to Fin and what turned out to be a splintered piece of door. "Wood," Fin said. "Maybe we could get Gift to jump on it." His proud and cocky attitude shattered the last of Rab's patience. "Maybe you could jump on it yourself this time," he said. "Or are you trying to break her leg now?" The moment the words were out, however, Rab regretted them. Fin let go of the broken door and it clattered to the ground. "I knew you blamed me," he said, advancing on Rab. There wasn't a trace of cockiness in his voice anymore, only that familiar old resentment and anger. "Nothing I do satisfies you, does it? Maybe me and Stitch should just go back. Maybe that would satisfy you." The boy thrust his face up to Rab's, his mission to match heights a dismal failure. "I know it would satisfy me. We didn't want to come on this suicide journey in the first place. Just where do you think you're going? Have you got any idea? Any at all?" "Better than you, boy. You should have listened to me and not taken Stitch into that factory. Maybe I don't always know the best thing to do, but I can certainly recognise the worst." "And I suppose finding that cache of wood was a bad idea, too. You seem to have forgotten that if it weren't for me, we'd all be dead already." The boy had a point. "All right, Fin," Rab said. "You made one mistake. Before this journey's over, we'll make a lot more of them. Every one of us." He made to move around Fin, intending to retrieve the discarded piece of door, but Fin grasped him roughly by the shoulder. "Leave it," he said. "I'm going back to get Stitch. We'll find somewhere else to rest for the night and start for home first thing in the morning. I'll be fair. We'll divide the food, but, after that, Gift and you can fend for yourselves." Rab raised both hands, feigning surrender. "Fine," he said. "Take Stitch, if you think you can carry him. But I wouldn't recommend going back to our village." "What do you mean?" Fin asked, clearly suspicious. "The river flows towards our village," Rab said. "And I'm beginning to wonder if the river isn't the reason we've all been getting sicker as time goes on." Fin shrugged in the darkness. "We've always got sick. The air is bad." "That's true," Rab agreed, "and the water's always been bad. But now the ground is going bad, too. Maybe some poison from that place - that factory - got into the ground. What's in the ground gets into the 'shrooms. And what gets into the 'shrooms ..."
The boy remained silent for a moment. "The village is a long way from here," he said at last. "Nothing bad could get that far." "Well, if you thought that back at the factory, instead of walking further away, why didn't we turn around so we could go back and tell them at least? Don't you care?" "I thought about turning back - at first. Especially after Stitch broke his leg. But then I realised that they'd already made up their minds." "Think about it," Rab said. "They voted to send the three of you with me and they wouldn't have done that unless they knew they were dying. Giving them a possible reason why they're dying wouldn't make a bit of difference." "You're wrong." Fin pushed past him, heading for their shelter and Stitch. "You're wrong about the launch pad and you're wrong about that." Rab let him go. He hadn't managed to change the mind of any one of the people in his village before, so what made him think he could change Fin's now? Gathering the length of splintered door, he started to drag it down the lane until Gift's urgent call had him running back to the shack, empty-handed. Ducking inside, he found Fin on his knees, leaning over his brother, and Gift, a tiny shadow in the far corner of the room. "What's wrong?" he asked anxiously. "It's Stitch," Gift whimpered. "I think he's really sick." Stitch's fever only grew worse through the night. Fin had relented, gone back and dragged the splintered door into their shelter, but the fire Gift had made with it didn't seem to have helped. In the firelight, Rab had seen the sweat on the boy's forehead and gave a brief thought to removing the bandage to check if the wound was infected. But there wasn't a thing he could do about it if it was. They had no medicines, nothing to bring the infection or the boy's fever down. All they could do was wait and hope the boy had enough defences of his own to combat the sickness. He was a strong enough kid and that played in his favour, but it was obvious now that Rab had to rethink his plans. They couldn't go on and they couldn't go back, at least not until the boy's condition either improved or ... no, he wouldn't consider the alternative. Rab waited until the children began to doze before leaving. He knew he couldn't stay away too long. If Fin woke and found him gone, he might just try to make it back to the village with Stitch. All Rab could do was rely on Gift to make sure that didn't happen. But even Gift couldn't stand up to Fin indefinitely. He had to find a solution and find it quickly, so he took to the tight alleys and lanes, desperately hoping that somewhere inside one of the ruins down one of the abandoned lanes he would find something, anything to help Stitch. If he were lucky, he might even stumble across a villager who'd stayed behind. But it was dark and his search was tediously slow and unproductive. He'd just crawled out through the doorway of yet another ruin when he was startled by a female voice, too old to be Gift's, calling to him out of the darkness. "You, Top-sider! What do you think you're doing?" His impulse was to rush up and embrace whoever had spoken. There were people here. But he couldn't see who had called to him. "My name's Rab," he replied, uncertain where to direct his response. "And I need help." "Don't we all?" the voice called back. "What sort of help?" A figure began approaching him from the opposite side of the lane. Rab couldn't see her face; and bundled up as she was from head to foot, there was little indication of her age. She was pointing something at him, although Rab had no idea what it was. "I have a sick boy," he said. "We need medicine." The woman began to back away. "What do you mean 'sick'?" "He broke his leg and now he's got a fever." "Oh." The figure paused. "Where are you from?" "A village south of here." "You're lying," she said. "There's no one alive in the south." Rab shrugged. "Well, I had to have come from somewhere and I can assure you that there are still people there." Though not for much longer, he thought. The woman didn't pursue the argument. "What happened to the boy?" she asked instead, stepping closer. "He fell - through a suspended walkway." Until that moment, the finest clothing Rab had ever seen was on his back. But there were no visible patches anywhere on this woman's clothing; no tears, no ancient grime; no misshapen, battered boots; and no vulnerable skin protruding through the fingers of her thick gloves as she stood there, still pointing that strange thing right at him. "You've been to the river?" she said, sounding amazed. Stepping closer still, she lowered the thing she was pointing. "How stupid can you be?" It didn't take much to realise that Fin was hovering too close for the woman's liking. Gift had opted for the diplomatic approach and gone outside, leaving the woman to tend to Stitch as she saw fit. Rab stood at a distance, waiting for instructions, but it was obvious to him, if not Fin, that the woman preferred to minister to Stitch alone. "Get this boy out of my light," she barked, looking from where she was crouched over Stitch. Rab stepped forward and grabbed Fin by the elbow. "We'll wait outside," he told the woman. "Thanks for telling me. I'd have worried otherwise." Gift turned as Rab stepped through the door, pulling Fin. "Will Stitch be all right?" she asked. Rab shrugged. "I guess. That woman isn't exactly talkative." Gift smiled back at him. "Who is she anyway? Does she live here? Are there more people?" Rab settled on the block of broken concrete beside Gift. "I wish I knew. She just appeared out of nowhere." "Lucky for us," Gift said. "I'm not so sure of that," Fin observed from the doorway. "What's that thing she was carrying? She won't let it out of her sight. And why won't she tell us her name or where she comes from?" Rab turned to answer the boy. "Maybe she's just frightened," he said. "She's helping us, isn't she?" "And after she's tended to Stitch? Then what?" "One thing at a time," Rab replied, glancing away. Craning his head only worsened the pain in his neck. "The boy asks a good question." Rab's head snapped back round again. The woman was standing just outside the doorway. The skinny metal stick of a thing she'd laid against the inside wall while she tended to Stitch was slung down at her side now. Beside her, Fin began an open appraisal, of both the metal stick and the woman. It couldn't have netted him much; the woman's hood remained drawn snugly about her face. Rab got to his feet. "The boy is Fin," he said and gestured towards Gift, who'd also risen from her perch. "And this is Gift." "Thrilled," the woman replied curtly. "What's the kid's name?" "So, what is the plan for Stitch now? Let me guess. You don't have one." "Well, I wasn't expecting him to break a leg," Rab answered defensively. "We were going north before this happened." Rab edged forward. "Look, we're grateful for your help," he said with demanding restraint. "We really are. But you haven't told us anything about yourself, where you come from, what you're doing here, yet you keep asking me all these questions. Give me one good reason why I should answer." The woman shrugged. "Simple," she said. "You don't have a clue what you're doing. And now you've made me responsible for that kid ... Stitch." She jerked her head towards where Stitch lay in the dark and partial shelter behind her. "Someone has to decide what to do. And before I can do that, I need to know whether I can trust you. You are a Top-sider, after all." "I don't think I like the way you say that," Rab shot back. "Just what exactly is a Top-sider?" After a brief sidelong study of Fin, the woman's attention returned to Rab. "Someone who lives on the top, of course." The heavy hood she wore made it difficult to be certain, but Rab thought he saw the corners of the woman's lips curve upward. "Up in the bad air? In the dark?" She swung the metal stick up to her shoulder. "It's true. Top-siders are mad." Rab eyed the stick. He wasn't at all comfortable with the way she casually wielded that thing around ... whatever it was. "Are you intentionally talking in riddles?" he demanded. "Just tell us who you are." The woman stamped a foot to the ground. "I come from down here," she said. "I'd have thought that was obvious. Well, not exactly down here, I suppose." Raising her hand, she pointed due north. "My city's about a half day's walk that way." "Your city?" Rab could hardly believe it. Could they really have been that lucky? Was this woman one of the very people he'd come looking for? "An underground city?" She shrugged. "Now do you want to tell me what your plan was before that kid broke his leg? If not, we'll part company right here, right now." Rab considered his reply for a long, silent time, deciding that in the long run they had nothing to lose, but everything to gain by explaining. What harm could it do? She'd either help them or she wouldn't. "I told you. We were going north. We were looking for a way off." His answer appeared to puzzle her, but if hers was the city he was looking for, she had to have known what he meant. "You're talking about the launch pad," she said, still sounding unsure. Rab felt a touch on his hand. He glanced down to find that Gift had stepped up beside him. Judging by the expression that came over her face, like Rab, she hadn't expected the woman to suddenly break out in laughter. "Top-siders are all mad," the woman said finally. "And vulgar. I should really be offended, I suppose, but it's hard to feel offended by a fool. There is no launch pad. Not here. Not ever. We're all that's left." She pointed to Rab - "A few Top-siders like you," - then turned the finger towards herself - "and people like me. Everyone else is dead." Stitch had gone very still. The dead weight was pulling down painfully on Rab's shoulders. At the woman's direction, Gift and Fin had taken the lead. Gift seemed almost excited, while Fin remained his sceptical, surly self. He'd slung the packs over his back and tramped off without comment. "Purple mushroom extract," the woman told Rab calmly. "What?" Rab pulled up and grabbed the woman's sleeve. "You poisoned him?" Those barely visible lips of hers curved upward again, though it was still difficult to interpret the gesture as something even remotely friendly. "You really are ignorant, aren't you?" she said. "Purple mushroom extract is not harmful in very small doses. In fact, it has a great number of medicinal applications." She started off after Fin and Gift again - "For one, it can bring down a fever," - then glanced back. "What do you use when someone is sick? Incantations and magic?" Rab struck off in pursuit. "We have medicines," he said, annoyed at how pathetically defensive he'd sounded. Their medicines usually amounted to water mixed with a little ground up charcoal scavenged from their fires. He wasn't about to admit that. Of course, if his father were to be believed, his people had once had the means and the knowledge to perform miracles with their medicines. But maybe that was just more of his father's loose talk. And maybe this woman - and everyone else - was right. There were no launch pads and never had been. Why would she lie? And if her people believed it to be nothing but a foolish tale, then perhaps he was wrong. But something nagged at him - if she knew the rumours then who had told her the story? "I need to make something clear," the woman said, the moment he caught up with her, glancing at him briefly from under the hood of her bulky clothing - "You are not welcome to stay in our city," - then nodded towards Gift up ahead. "Especially her. You can remain until the boy is healed or you can leave him with us. It's your choice." Her pace quickened without warning, leaving Rab behind to struggle on with Stitch. But her brutal honesty had offered him one hope. She seemed confident that Stitch would recover. As he followed along behind her, Rab studied the woman. She was very familiar with the terrain - that much was clear. Every so often she barked another order to the children ahead, adjusting their course. They had left the main road some distance back and climbed gently for a while, but it was flat going now. The woman claimed her city lay to the north. He had no reason to doubt her, but little reason to trust her, either. For the moment though, it didn't matter. He couldn't go on with Stitch so badly injured. There was little about the woman that didn't grate on Rab's already tattered nerves, in particular her habit of stopping every so often to glance back before taking off again without comment. What was she doing? Making sure that he was still following? Perhaps she was just checking that everything was still fine with Stitch. Maybe she just didn't like having him at her back. She struck him as the type who had to know everything that was going on everywhere at any given moment. And what was that curious stick she had slung across her back? Her hand kept wandering towards it, as though she needed to reassure herself that she hadn't lost it. The pack she carried was only small, suggesting she hadn't come far, just as she'd claimed. And it was obvious that she could have walked quite a bit faster than she was doing now. How was he supposed to interpret that little display of consideration? She stopped to glance back again, but this time raised her hand to point. "We're almost there," she called. "Just a little further on. How's the boy?" At least he hoped so. Stitch hadn't made a sound or a move since the woman had tended to him inside the ruined shanty. For all he knew, the boy could be dead. Maybe that had been her plan all along. To kill them off, one by one. But that didn't make much sense. Then again, it didn't really need to. Besides Rab couldn't see any evidence of a city ahead, just the same empty terrain. Granted she had said they lived underground, but she couldn't have meant entirely. There had to be a way in at least but the flat, featureless plain ahead didn't look very promising at all. Rab bolted and as he ran, Stitch's dead weight bumped painfully against his back. When Fin grabbed a hold of his arm, he almost toppled over. "It's all on fire!" Fin bellowed. Rab didn't like what he saw or smelled, either. Just like Fin said, the ground ahead of them did appear to be on fire. A low lying blanket of smoke wafted about their feet and the stench of something burning filled the air. Unconcerned, the woman kept on walking into the smoke. She was actually laughing. "What is it?" Gift asked, sounding more curious than worried, apparently taking her cue from the woman. Rab shook his head, realising quickly that he and Fin had got it completely wrong. What they were seeing wasn't a surface fire at all but the build-up of smoke created by the slow pluming of many separate columns out of the ground. The funnels were too numerous to count and, farther away, the gloom and the smoky haze obscured the individual columns completely. "It's warmer underground," the woman called over her shoulder. "But even we need fire." Gift's brow crinkled. "What's she saying? That we're standing on top of their city?" Rab shrugged. He couldn't think what else she could mean. But an entire city built underground? It didn't seem possible. "It's a trap," Fin said beside him. "The air here is poisoned and she wants us to walk into it." "I doubt that," Rab replied. Stitch began to stir on his back, allaying at least one of his concerns; the boy was still alive. "She's not likely to walk right into her own trap, is she?" "She helped Stitch, didn't she? Shared her medicine? I believe her." Gift knelt and placed the palm of her small hand flat on the ground. "There's a city under here. I can feel it." Rab spared an inner smile. Perhaps little Gift did feel it. She'd certainly have felt the warmer earth, but that didn't necessarily mean that there was a city under their feet. It could mean anything, including the unthinkable - that Fin was right. But the woman wouldn't walk into her own cloud of poisonous gas. Perhaps she wasn't telling them the entire truth, but she couldn't be lying about the cloud. It was just ordinary smoke, even if it didn't come from the hearth fires of her people. "I'm not waiting for you," she shouted. They couldn't delay any longer. "We're staying with her," Rab said to Fin. "You can come with us or go on alone. But if you go on, it'll be without Stitch and the packs." "I've already got the packs," Fin reminded him with a smile. "Do you really think you can take them from me?" Stepping closer, Rab leaned in to tower over the boy. "Do you really think I can't? Or that I wouldn't try? Get going," he said and gave the boy a shove. "Mind your step," the woman advised. "If you fall, I won't go down after you." Rab stood, with Gift beside him, looking down over the edge of the cliff. The woman had already started down a set of rough-hewn steps that disappeared into the murky depths below them. Bending, Rab found and hefted a rock, testing its weight, then pitched it out over the edge. A series of dull thuds sounded below. "Wanna watch where you're throwing things, Top-sider?" the woman barked at him from below. The cliff was steep, but not bottomless. Still he wouldn't be inclined to clamber down there after anyone, either. And it wasn't going to be easy climbing down the narrow icy steps with the weight of Stitch on his back. He glanced at Gift. "Of course I can," she answered with a shrug and set off after the woman. Fin stepped up to take Gift's place. "What about you?" Rab asked. "If you can, I can," Fin answered brusquely, and started down after Gift. For a moment, Rab just watched them both descend. Gift's little feet were taking the narrow steps with ease. Behind her, Fin struggled with his balance, but overall he was managing. The woman was nowhere to be seen. He should have sent Fin down first. If he lost his footing now, he'd take Gift down with him in the fall. "Come on, it's easier than it looks," Gift called confidently up the cliff face. Rab hoped she was right. Heights had always been his weakness. "You hold on tight, Stitch," he said with a glance over his shoulder. "Do you hear me?" The boy emitted a feeble moan, nothing more. Tentatively Rab took the first step, staggered briefly, then took the next. Each step demanded discipline and focus. His heart beat madly. His head began to swim. With so much of his attention directed to his footing, he almost blundered into Fin at the bottom of the steps. The woman he soon found perched on a large boulder, waiting for them. "Took your time," she said, getting to her feet. They were standing on a large, smooth platform of rock. Beneath them, Rab saw little but gloom. But to the left, he noticed the top of another set of stairs. "We don't go down there," the woman said, arching her arm. "The city's this way." It felt good to be on flat ground again. "What's below us?" Rab asked. The woman shrugged. "Nothing for you, Top-sider. A few other Top-siders here and there in the valley. Mostly nothing though. It's pretty well played out." "Played out?" Rab peeked over his shoulder; Stitch hadn't moved. "Of fuel," the woman told him. "Not much wood there now either." She pointed up the valley. "Some of the people think there's a good supply up that way. I haven't looked. Maybe I will some day." Rab decided not to mention the broken forest they'd stumbled on early in their journey - not yet anyway. The woman still hadn't earned his trust. "Is that what you do?" he asked instead. "Find fuel for the city?" "And that's why you were there? In the village?" The woman stopped walking and turned around. There was little of her face showing, just eyes, nose, and mouth, but it was enough to convince Rab that his question would go unanswered. When she started off again, Rab glanced behind to assure himself that Fin and Gift were still following. Gift was walking too close to the edge for his liking. The child was too fearless. He waited for her to catch up and then took her hand. A sullen Fin brought up the rear. Apart from its dusting of ice, which demanded a degree of vigilance, the platform was easily managed. The rock was worn smooth and level, suggesting it might even have been man-made. A short distance away, the cliff face plummeted down again into the valley where the woman said some of his own kind, 'Top-siders', remained. Whenever she used that label, she sneered, clearly disliking Top-siders and keen to have him know it. Rab couldn't imagine what threat the Top-siders could pose to this seemingly impregnable cliff-dwelling. In his village, the daily struggle for survival exhausted both strength and spirit. He doubted that the people in the valley below fared better; they'd have little enthusiasm for trouble making. The woman soon stopped in front of a large chasm in the rock face, fortified by an elaborately patched network of metal fencing. The bars that supported the mesh had been punched right into the rock around the ragged perimeter of the hole. In places, the metal looked somewhat rusted. There didn't seem to be any way in, until Rab noticed a slightly larger-than-person-sized gate in the middle of the grill. "You remember what I told you?" The woman glanced at Gift. "About staying?" A more enthusiastic welcome would have been desirable, but he hadn't set out on this journey only to end it inside a hole in the side of a cliff face. And Rab was beginning to suspect that was all the woman's grand city would amount to. Her talk was simply that - talk! He had no doubt that sheltering inside this inauspicious facade he would find only another band of wretched refugees. The woman must be deluded - or mad. Just his dumb luck. And wasn't Fin going to love being proved right? Gift tugged at his hand. "What does she mean? Are we going to stay here?" "Only until Stitch can walk again. These aren't the people we're looking for." "If you don't want to get shot, stay behind me," she said. "Understand?" "Shot?" Rab asked. "What's shot?" The woman reached around and patted the strange metal stick she constantly carried. "Guards are stationed at this entrance at all times," she said, drawing something he couldn't see from inside her jacket. "If you try to steal anything, you won't get very far." She took some pains to conceal exactly what she was doing to the heavy chain that held the gate closed. The chain showed none of the corrosion Rab was used to seeing. Either it was made of some special, unfamiliar material or the city's inhabitants carefully maintained what seemed to be a pitifully inadequate attempt at further security. A good size rock could have smashed the chain with less effort than the woman was obliged to use to release it. The chain freed, she pulled at the gate and swung it outward, gliding it noiselessly until it finally came to rest flush against the fencing. "You keep that one under control," she said, pointing at Gift, then stepped through the open gateway. Gift's hand tightened on Rab's. Her mouth was a thin line, uncharacteristically drawn down at the corners. She'd taken offence at the woman's words and Rab couldn't blame her. Of his three companions, he harboured the least concerns about Gift. For some reason, the woman didn't. He stepped through into the pitch black cave, disappointed and a little disturbed when normal blindsight failed him. Gift's hand was still latched tightly onto his while, behind him, Fin faintly swore. A rattling sound now, as though she was replacing the chain. There was an inherent sense of finality about that noise that Rab found immediately disconcerting. "After me," she said with a touch to his arm. Without his blindsight, Rab was obliged to follow the sound of her footsteps. "Two more steps and turn sharply to your left." Rab took the corner too tightly, bruising his left shoulder against a wall of rock. "Five steps and turn right." A subtle glow showed ahead of them now and Rab could see well enough to pick out a wall and, to the right, a narrow corridor that seemed to lead back the way they had come. The woman was leading them in circles. She stopped at the end of the tunnel. Beyond her the way opened out abruptly into a softly illuminated space. "The guards are just inside." She laid the strange stick she'd been carrying against the smooth wall of the tunnel and began to peel off her outermost layer of clothing. "They'll be expecting me, but not you, so if you don't want to get shot, stay behind me until I explain who you are." Slinging the heavy jacket over one arm, she retrieved the strange stick with the other. "Come on." Rab felt a tug on his hand and, as he leaned down to Gift, Stitch slipped a little on his back. "Why does she keep saying that?" Gift whispered into his ear. "I don't like this place anymore. Let's just go. They don't seem to want us here." When he glanced back, Rab found just what he'd expected - Fin's glower of open contempt. "We can look after Stitch," Gift said. Was she trying to convince him, Fin, or herself? "It's only for a little while," Rab replied, trying to allay their fears, and his. "We need their medicine. Anyway I thought you said you trusted her." "I did," Gift said with a sigh. "Until now. She's locked us in." Rab had experienced his own sinking feeling at the sound of the chain being replaced. Even so, if the need arose, he still thought he could smash through it easily enough. "Well?" Fin snarled. "You're supposed to be in charge, what do you suggest we do?" "All we can do for now," Rab replied. "Follow her." The soft rectangular glow they'd been chasing had conditioned him to expect a brighter space, but he hadn't expected to discover such a vast space beyond the narrow tunnel. The place was cavernous - and warm - impossibly, deliciously warm. And, at first glance, it appeared empty, until he looked again. From the moment he'd started down the tunnel, Rab had just assumed they were heading into a natural cave. He was wrong. The woman was standing in the middle of a huge room - there was no other word for it - that had neatly-laid, square-hewn slabs of smoothed stone for a floor and a huge hearth, glowing red and inviting in the middle of the far wall. Dead centre of the room, wrapped in the arms of an oversized, cloth-covered chair, an old man sat blissfully sleeping. Rab's attention flicked back to the woman. With her outer clothing removed, he was given his first real look at her. She was younger than he had expected, probably somewhere around his own age, but she had none of the gaunt look of his kind. Her jaw was firm, her cheekbones high and prominent below eyes the colour of muddy water. Her hair, though, was the most startling of her features. Although hacked indiscriminately to varying lengths, it was of a bright yellow colour Rab had never seen before. He simply couldn't take it all in - the opulence of the room, the apparent age of the old man in the chair, and the odd expression that had descended on the woman's almost pretty face. But he had managed to take in that the promised guards weren't anywhere in sight. The woman's angry shout startled him. On the opposite side of the room, the old man began to stir in his chair. "What did you do with the guards?" "Sent them away, of course," came the old man's sleep-addled reply. The woman peeled off another layer of clothing and shed it carelessly to the floor. Along with it came crudely balled up wads of something that fell all about her feet. "So you're back then." The old man shifted in the chair, stretched once, twice, before angling a glance towards the woman. It was only then Rab noticed that the old man was clean-shaven; not someone who ventured out much onto the surface, he concluded quickly. "Did you find -" the old man began before the woman cut him off. "No, I didn't." She pointed to Rab and his companions. "I found them instead," she said and bent to gather the fallen wads. "They claim to have come from the south." Evidently the old man's bones weren't in the best of shape. His movement was awkward as he twisted around in his chair to study Rab and his party. "The little boy has a broken leg," the woman told the old man as she continued gathering the scattered wads. "It'll mend." "Top-siders," the old man observed. With all of the wads now gathered, she carried them to the far corner of the room and dumped them into a container stationed there. "But there's no one alive in the south," the old man protested softly. "Try telling them that. I said they could stay until the boy's leg was healed. No longer. Unless of course," she added with a shrug, "they want to leave the child behind." The old man struggled to his feet. "I sincerely doubt they'll do that, Sunny." His glance shifted from Rab to the woman. "Don't you?" The woman just shrugged again and marched back across the room. Well, Rab thought, at least he'd discovered something about their rescuer - she had a name at last. "I'll take the boy to the hospital," she said. "Try to find someone who'll take in the others temporarily." The old man waved his hand. "No need for that," he replied with a smile that further cracked the skin of his wizened face. "I'll take them." The offer appeared to surprise his granddaughter. "Even the girl?" The cracks in the old man's face deepened. "Why not? I took you in." The woman, Sunny, quickly regained her composure. "Well, you didn't have a lot of choice, did you? You owed me." Rab watched as the old man's smile slowly withered. "Give me the boy," Sunny said, turning to Rab. "I'm not just going to hand Stitch over so you can take him some place where I'll never find him again. We'll all go. Unless you can give me some good reason why we can't." A snigger sounded on the far side of the room. "Got someone who'll argue with you, eh, Sunny?" "Keep quiet, Grandfather." Sunny shot him a warning glance. "You just go bring those guards back." "I'll do nothing of the kind," the old man replied as he drifted towards Rab. The closer he drew, the better Rab could appreciate the old man's likeness to Sunny. He had the same square set of the jaw and the same prominent cheekbones. But unlike Sunny, the old man's eyes were a weak-looking, watery blue, set shallowly in bloodless, crinkled skin and the remaining tufts of his hair lacked any definable colour. They found Sunny, back turned tothe hospital anyway. Germs, you know?" "No, I don't know," Rab barked, uncertain whether an overpowering rush of fear or simple exasperation had sparked his sudden outburst. "What kind of place is this? Who are you people?" The old man smiled again. "Just that, lad. People." His focus shifted briefly to his granddaughter. "She'll tell you we're the only people. And as for this place -" the smile wavered, "- this is our home." A shrivelled hand came up to cup Rab's shoulder. "Of course you're not seeing it at its best." "All right. All right." The old man's smile vanished altogether. "We'll talk more later," he said to Rab. "For now you'd better let my granddaughter take the boy. I promise he'll come to no harm. She's a pain, I'll admit, but she's no threat to the boy's safety." Fin shrugged off his packs and stepped forward. "I won't allow it." "Who's this one then?" the old man asked, peering directly into Fin's face. They were of a height. "I'm Stitch's brother and I go where he goes." "We're wasting time." Sunny shoved Fin aside. "And I've got better things to do. If it'll get us moving, you carry the boy then." She spun on her heels and strode off towards one of two narrow doorways set into the wall between the huge hearth and the left hand corner of the room. "And don't touch the walls on the way down." What else could he do? Rab turned Stitch over to his brother and watched as Sunny first and then Fin, his arms laden, disappeared through the narrow doorway. "Thought she'd never leave." The old man breathed a sigh before he began a slow assessment of Rab and, apparently satisfied with what he found, repeated the procedure on Gift. "How old?" he asked, nodding at Rab's little companion. Rab didn't know exactly. No one slavishly counted years anymore, did they? What was the point? You were born and then you died. What difference did knowing the exact length of the span between make? "Too young for work," the old man said, accepting Rab's silence, "but probably the perfect age for trade." SHAUNE Lafferty Webb was born in Brisbane, Australia. Her father was an amateur astronomer and her eldest brother, an avid science fiction reader, so perhaps it was inevitable that she developed an early enthusiasm for writing speculative fiction. After obtaining a degree in geology from the University of Queensland, Shaune subsequently worked in geochemical laboratories, exploration companies, and, while living in the United States, at a multinational scientific institute involved in exploration beneath the ocean floors. Her short stories have appeared in AntipodeanSF, The Nautilus Engine, Blue Crow Magazine, and The Vandal and her novels, 'Bus Stop on a Strange Loop' and 'Balanced in An Angel's Eye', were released in 2011 and 2012, respectively. Shaune hopes to see her fourth novel, 'Once a Dog', published in the near future. Meanwhile, she keeps herself busy writing the sequel to 'Cold Faith' and pandering to a pair of wayward canine companions. Shaune lives in Brisbane with her husband, a research scientist. For more information visit Shaune's author page. The moral rights of Shaune Lafferty Webb to be identified as the author of this work have been asserted. All rights reserved. No part of this book may be reproduced or transmitted in any form or by any means without written permission of the publisher.